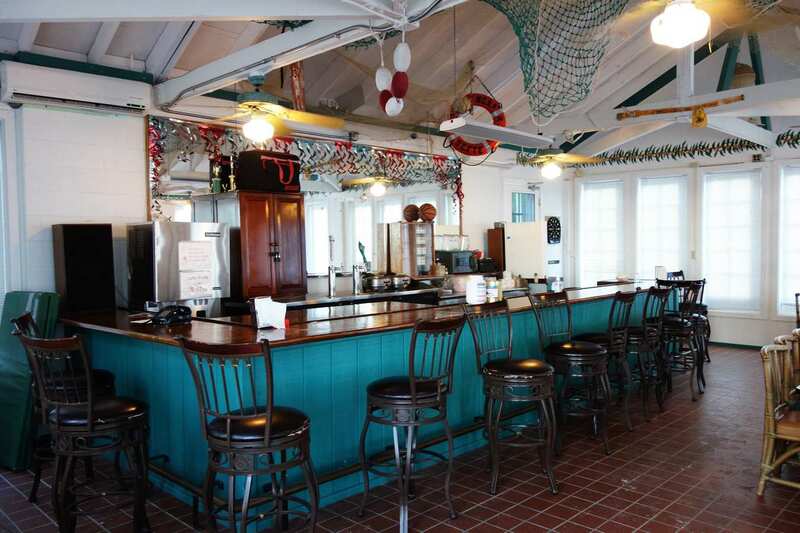 The galley was constructed in 1957 as part of the buildup of Midway Atoll’s naval air station during the Cold War. The building was in use by the U.S. Fish and Wildlife Service until 2004. 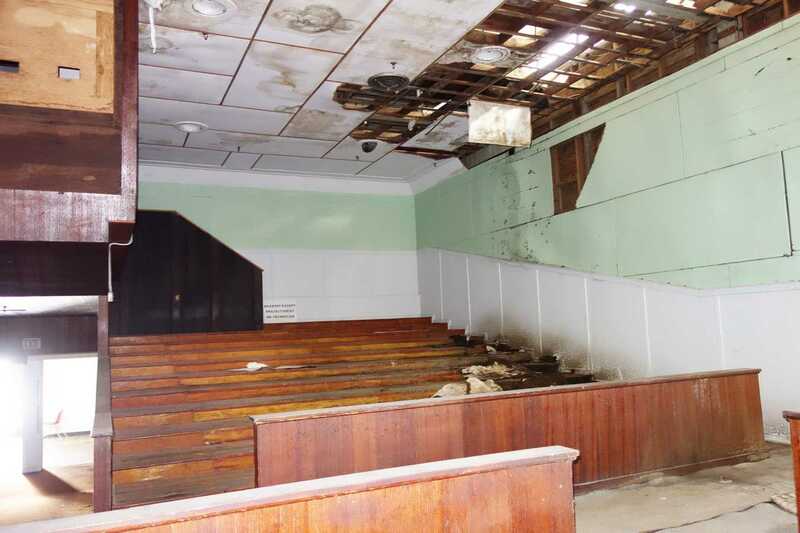 Agency officials said that the building is not in use and that the agency plans to demolish the building. The theater was designed by the architect Albert Kahn and constructed before the Battle of Midway during World War II. 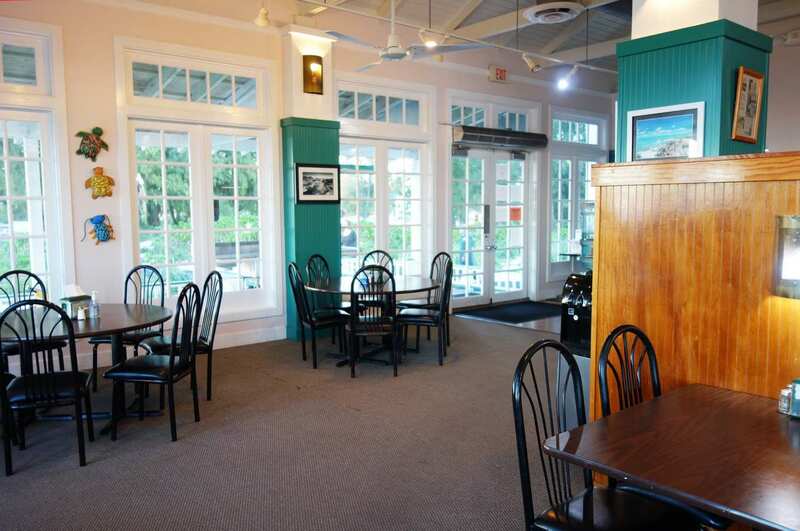 It is eligible for inclusion in the National Register of Historic Places. U.S. 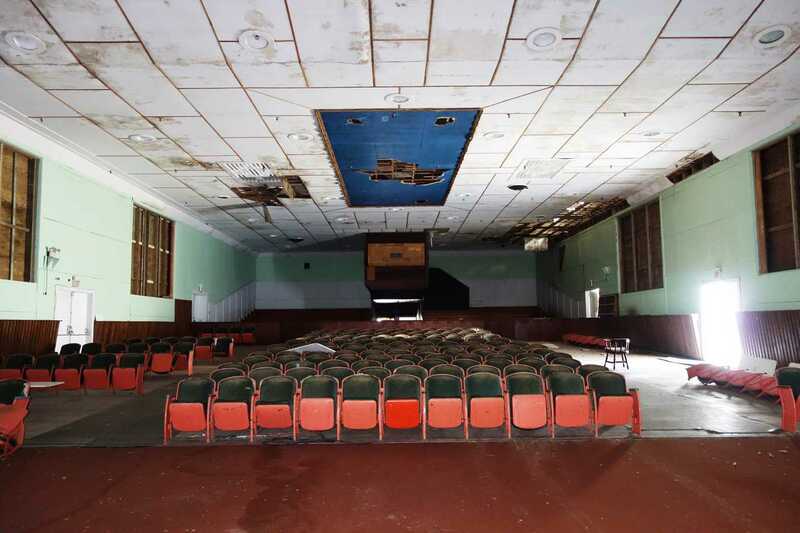 Fish and Wildlife Service officials said that the theater is not in use. 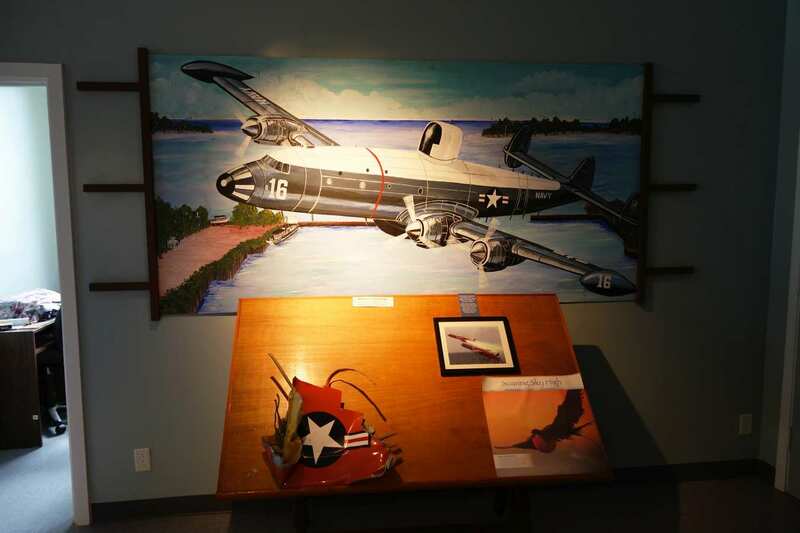 Six murals were removed from the theater and sent to the Pacific Aviation Museum for preservation and display. 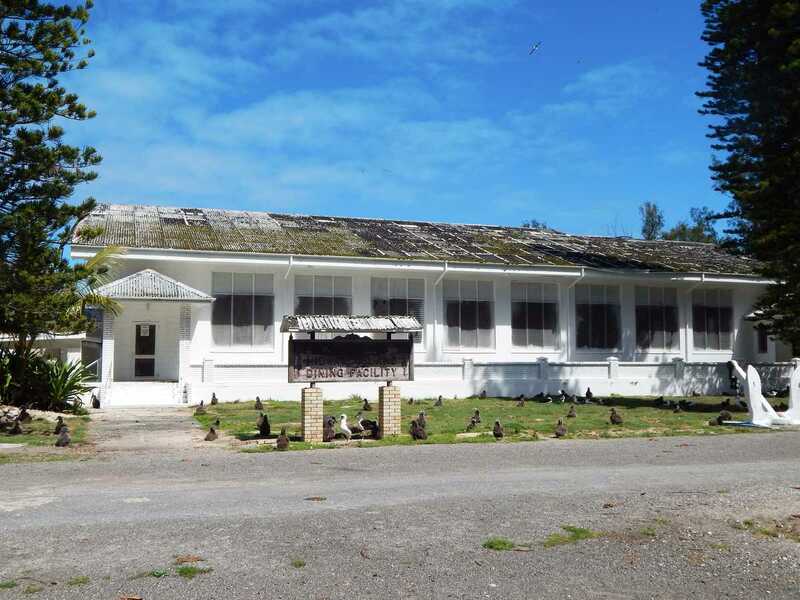 The mess hall was built by the Commercial Pacific Cable Company in 1903 for the employees who operated the relay stations for the first trans-Pacific telegraph line. 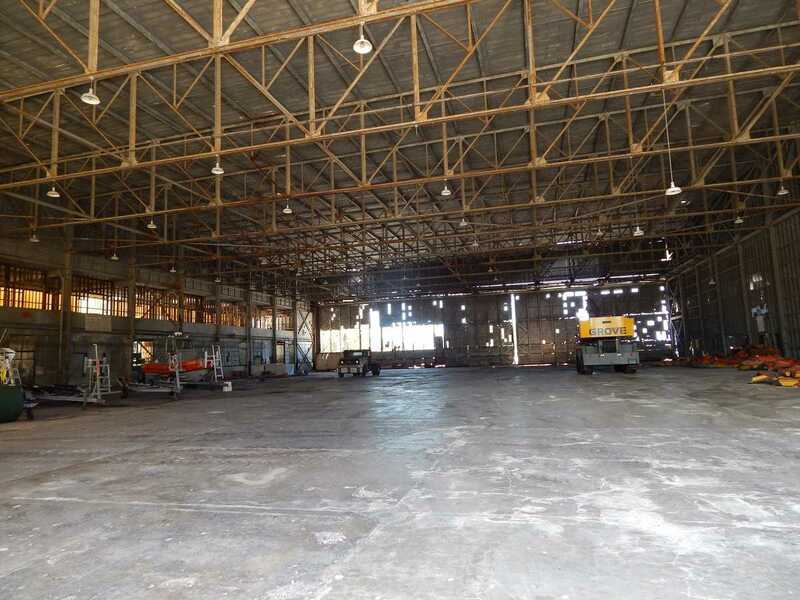 It is eligible for inclusion in the National Register of Historic Places. U.S. 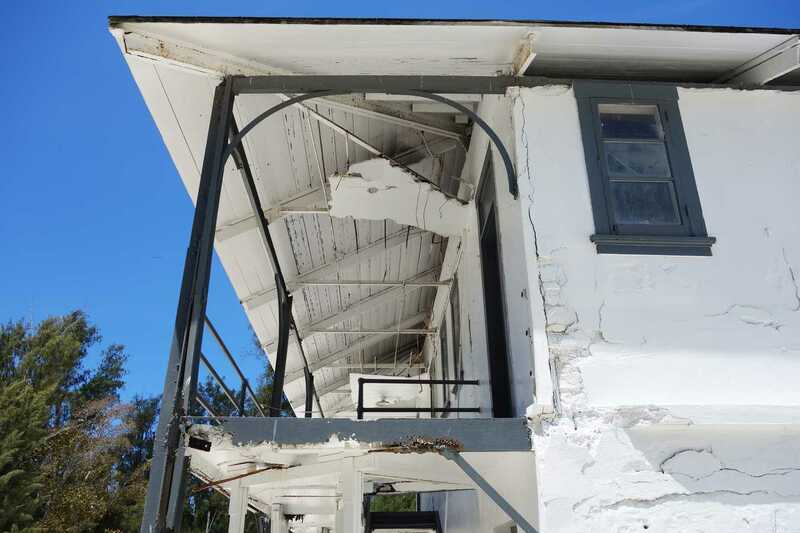 Fish and Wildlife Service officials said that the building is not in use and cannot be restored. 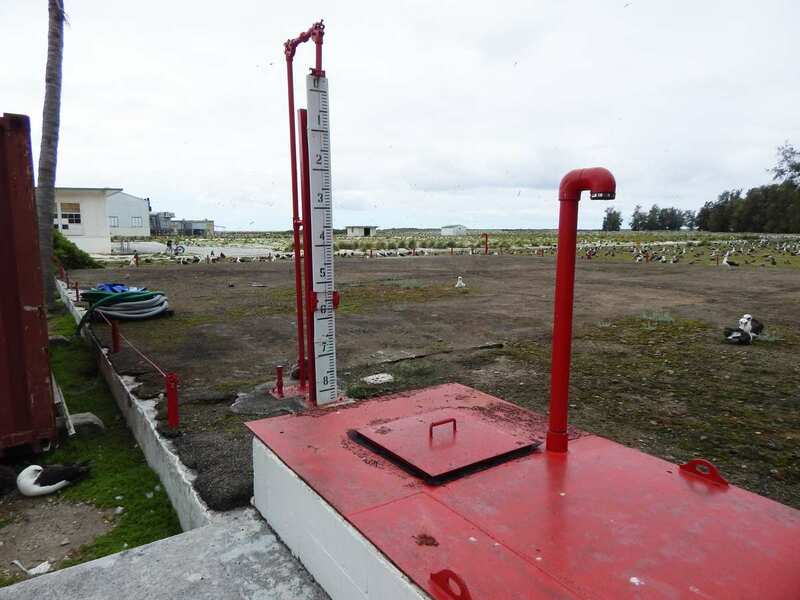 A cemetery is located on Midway that includes six gravestones, four belonging to medical doctors, with dates that range from 1906 to 1950. 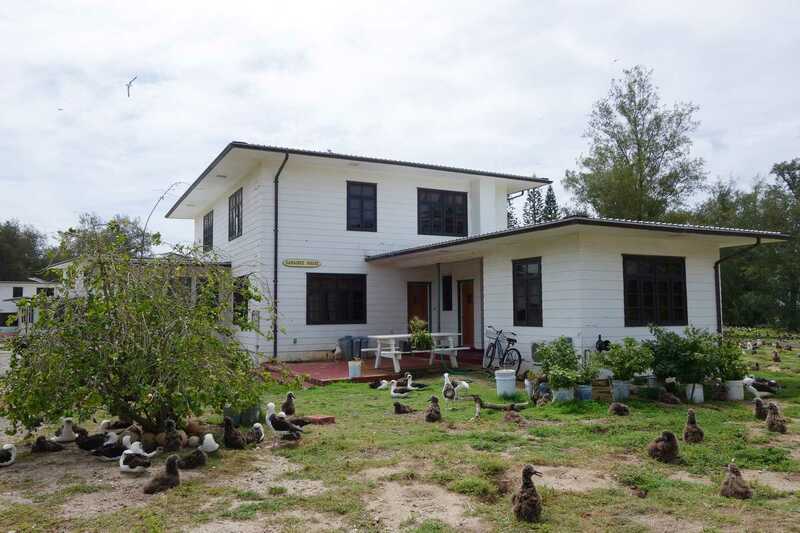 It is eligible for inclusion in the National Register of Historic Places. U.S. 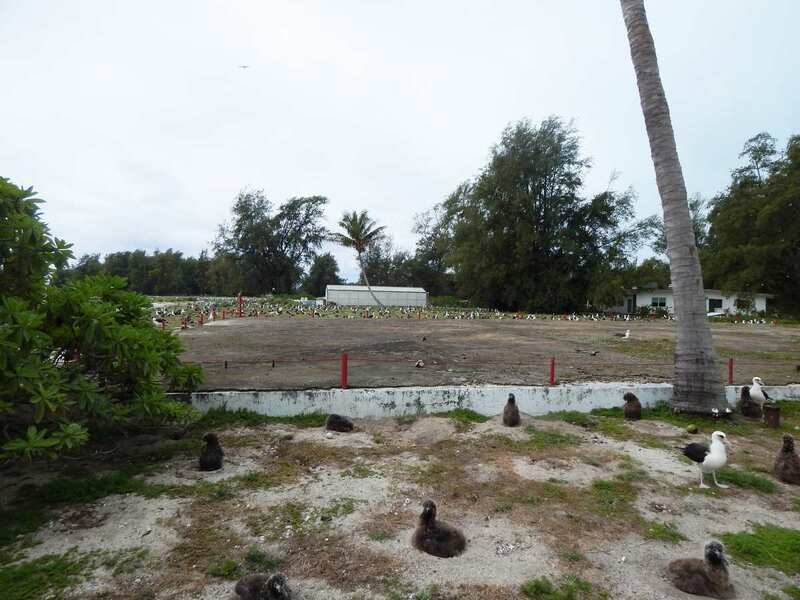 Fish and Wildlife Service officials said that the cemetery is not in use. 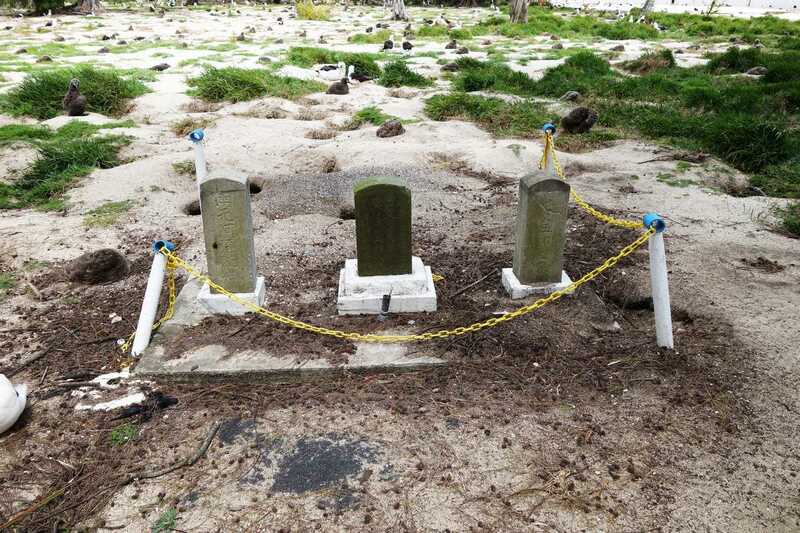 The Japanese Fishermen Memorials include markers from 1911 to 1916 for fishermen who died at sea. 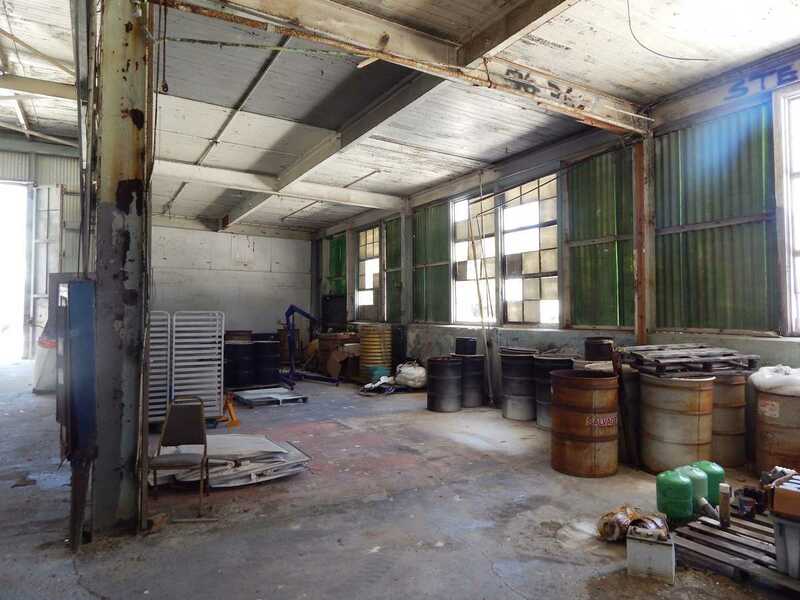 It is eligible for inclusion in the National Register of Historic Places. U.S. 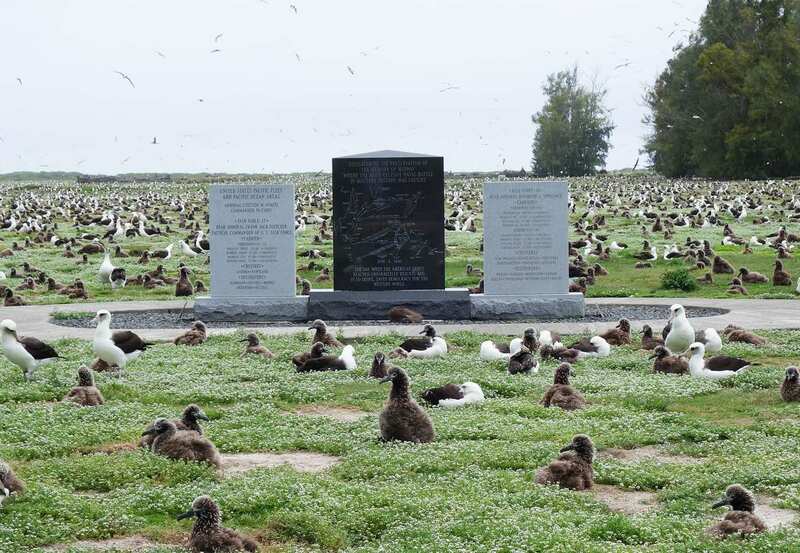 Fish and Wildlife Service officials said that the memorial is not in use. 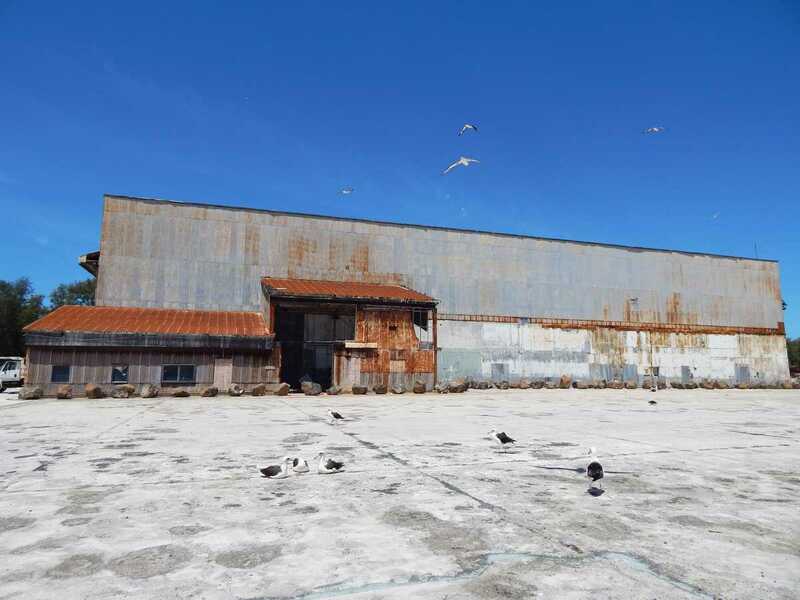 The seaplane hangar was designed by the architect Albert Kahn and constructed in 1941. 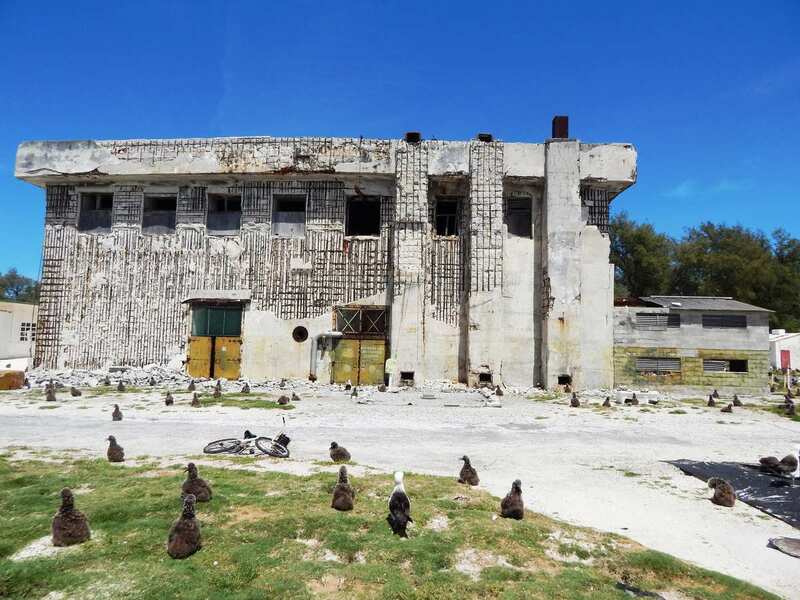 This building was bombed during both the December 7, 1941, and June 4, 1942, attacks on Midway and housed the seaplanes that spotted the Japanese attack during the Battle of Midway. It is eligible for inclusion in the National Register of Historic Places. U.S. 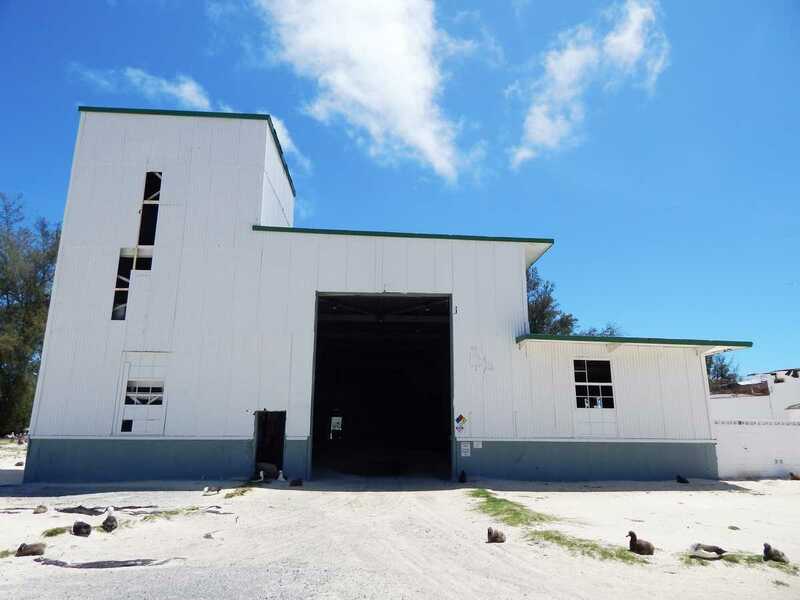 Fish and Wildlife Service officials said that the building is used for equipment storage. The Midway Mall Complex was designed by the architect Albert Kahn as a recreational facility. It was initially constructed before the Battle of Midway during World War II, and several additions were added by the Navy. 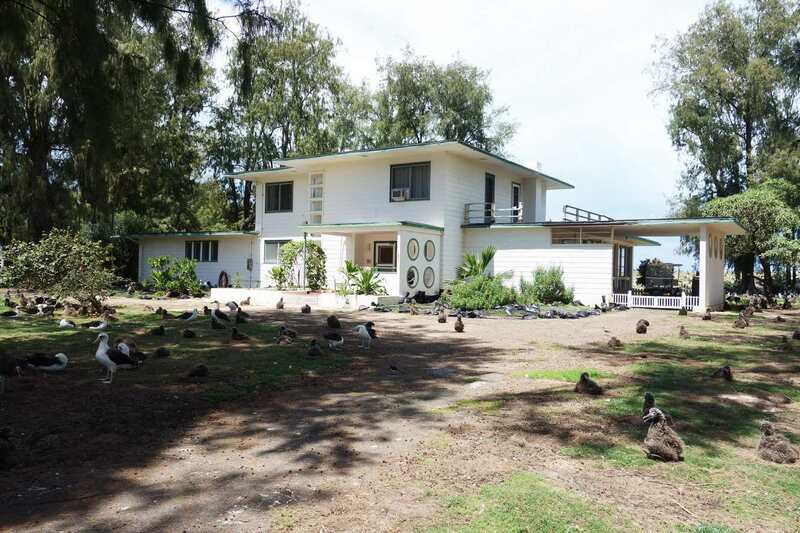 It is eligible for inclusion in the National Register of Historic Places. U.S. 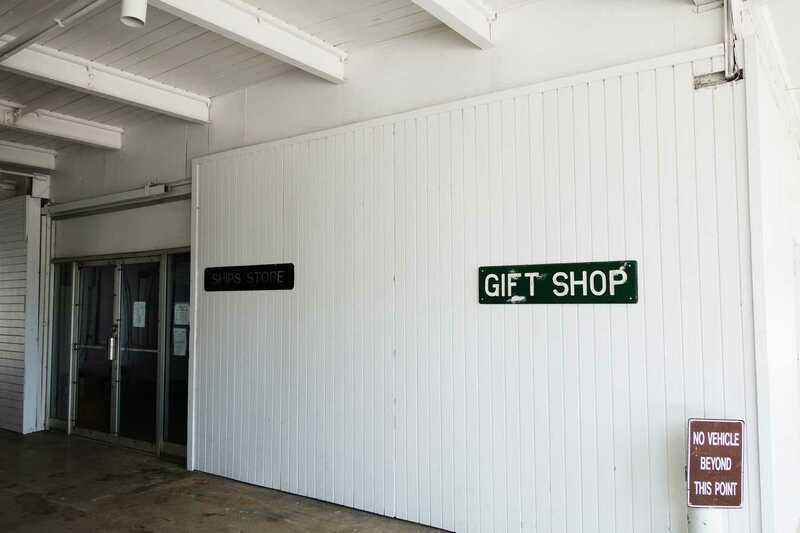 Fish and Wildlife Service officials said that some units of the complex, including the gift shop, are used. 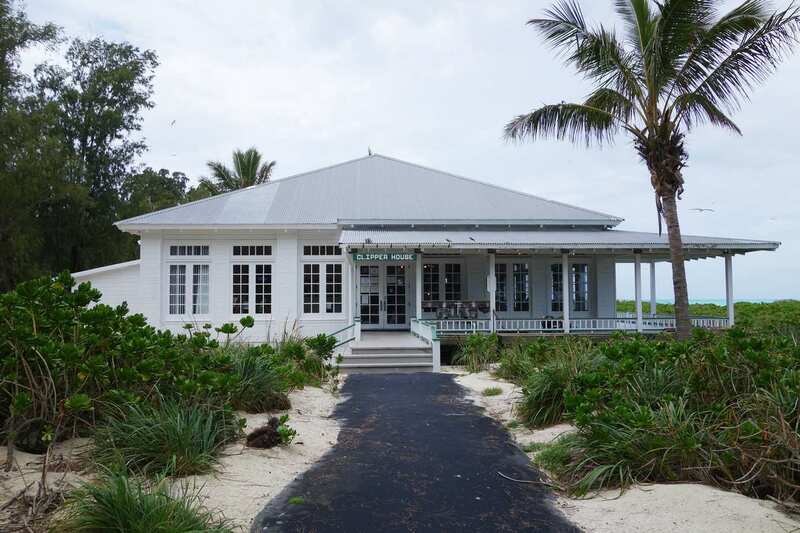 The General Squadron Storehouse was designed by the architect Albert Kahn and constructed in 1941 before the Battle of Midway during World War II. 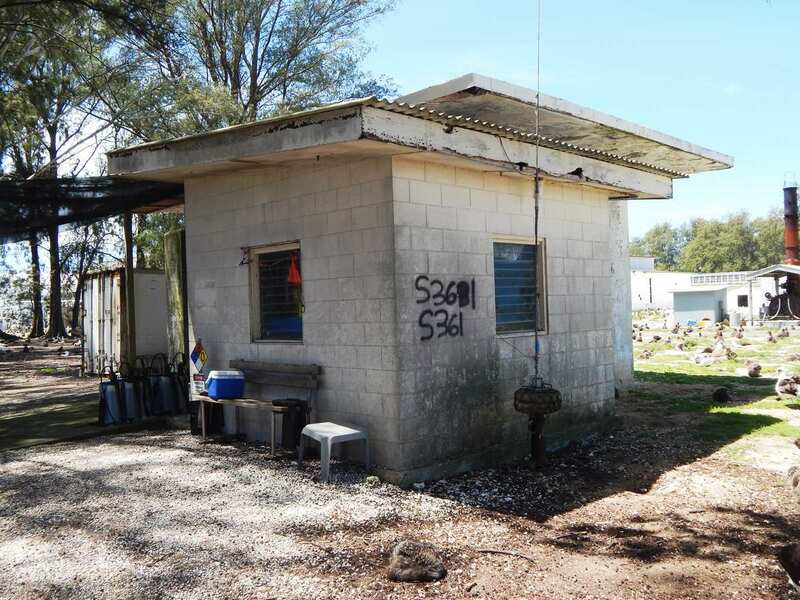 It is eligible for inclusion in the National Register of Historic Places. It is in use by the U.S. 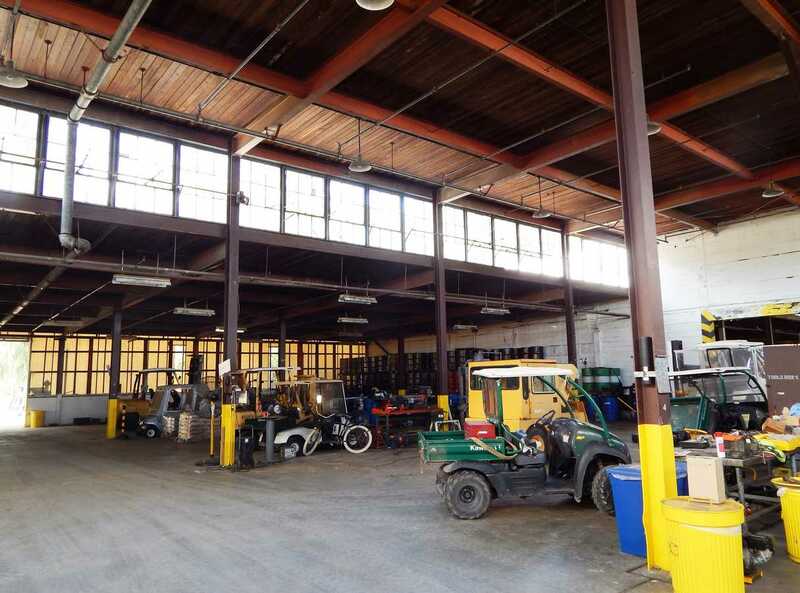 Fish and Wildlife Service and its contractors as a maintenance shop. The torpedo shop was designed by the architect Albert Kahn and constructed in 1941 before the Battle of Midway during World War II. It is eligible for inclusion in the National Register of Historic Places. U.S. 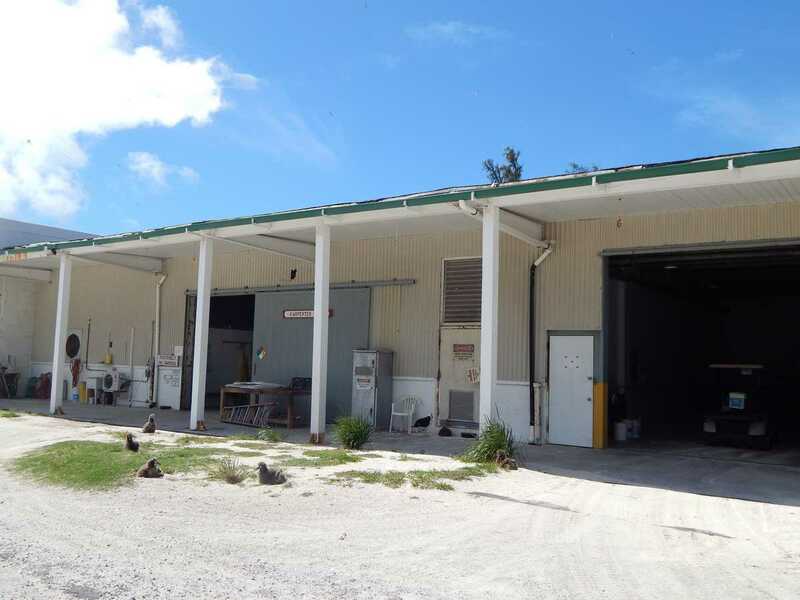 Fish and Wildlife Service officials said that the building is used for storage. 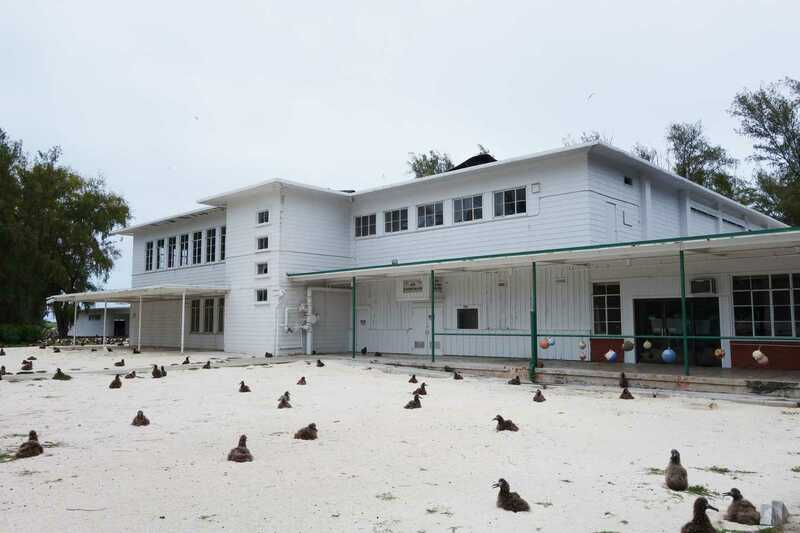 The commissary and cold storage building was designed by the architect Albert Kahn and constructed in 1941 before the Battle of Midway during World War II. It is eligible for inclusion in the National Register of Historic Places. U.S. 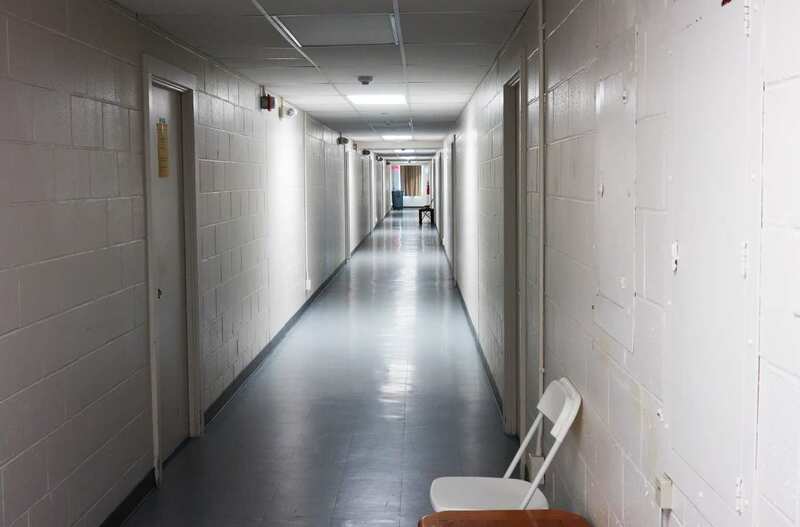 Fish and Wildlife Service officials said that the building is used for storage. 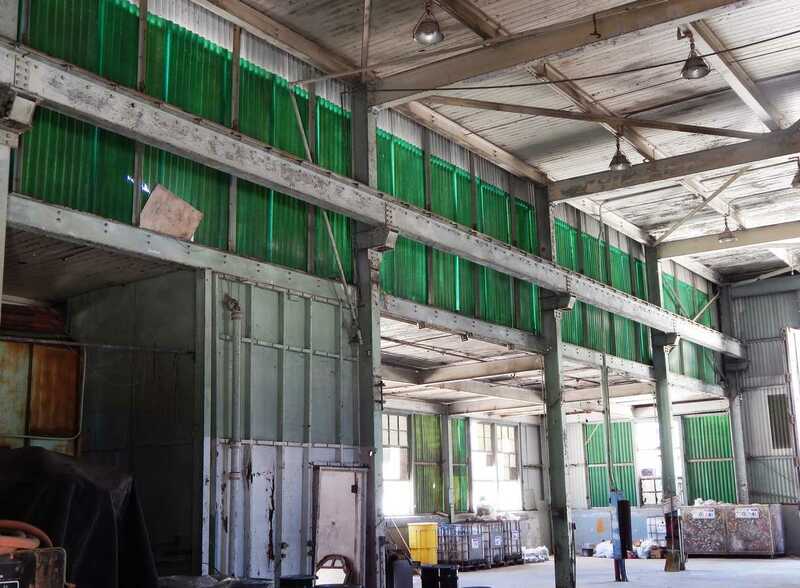 The paint and oil storehouse was designed by the architect Albert Kahn and constructed in 1941 before the Battle of Midway during World War II. It is eligible for inclusion in the National Register of Historic Places. U.S. 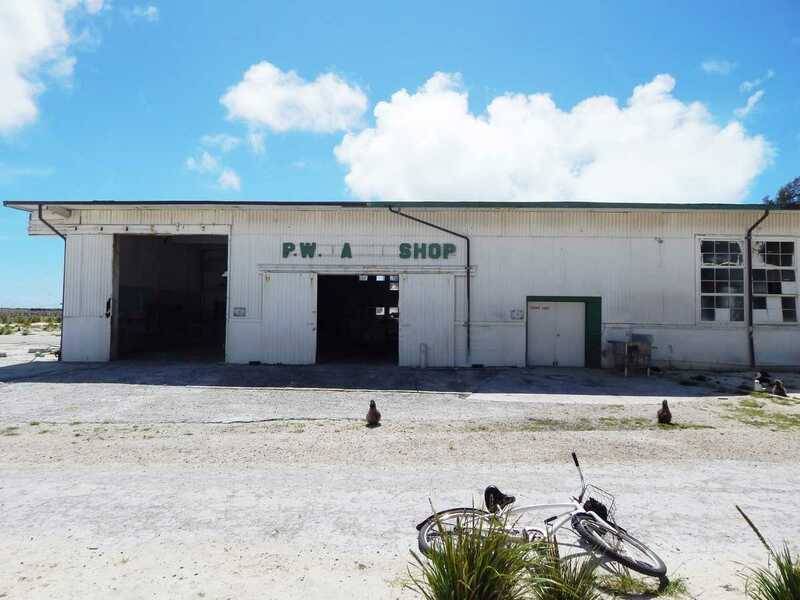 Fish and Wildlife Service officials said that the building is used as a maintenance shop. 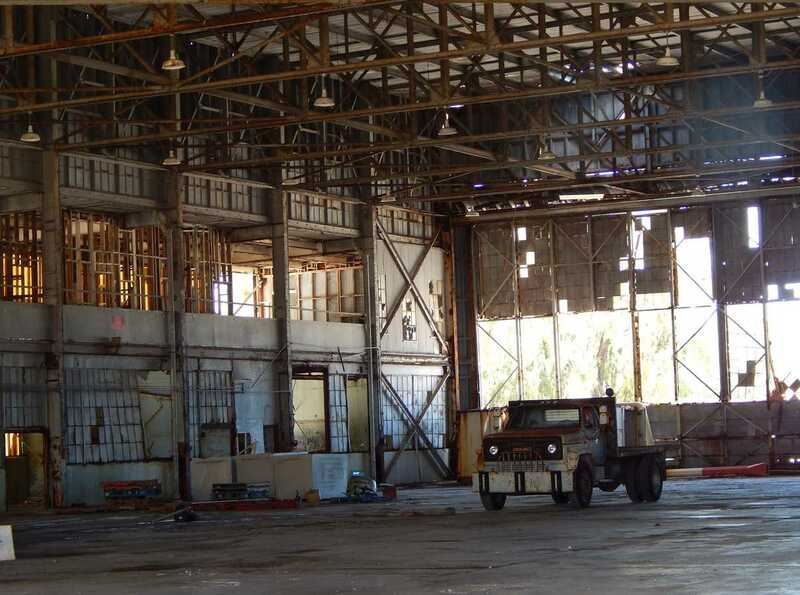 The torpedo machine shop was designed by the architect Albert Kahn and constructed in 1941 before the Battle of Midway during World War II. 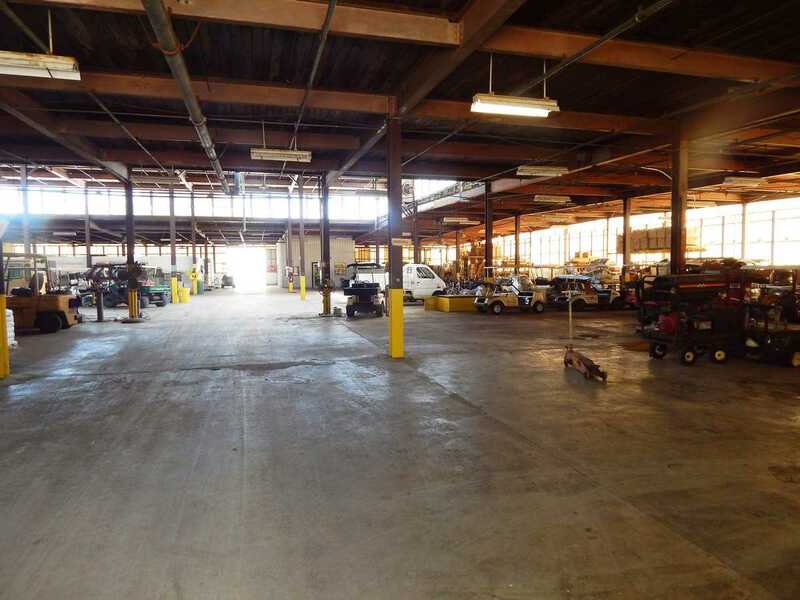 It is eligible for inclusion in the National Register of Historic Places. U.S. 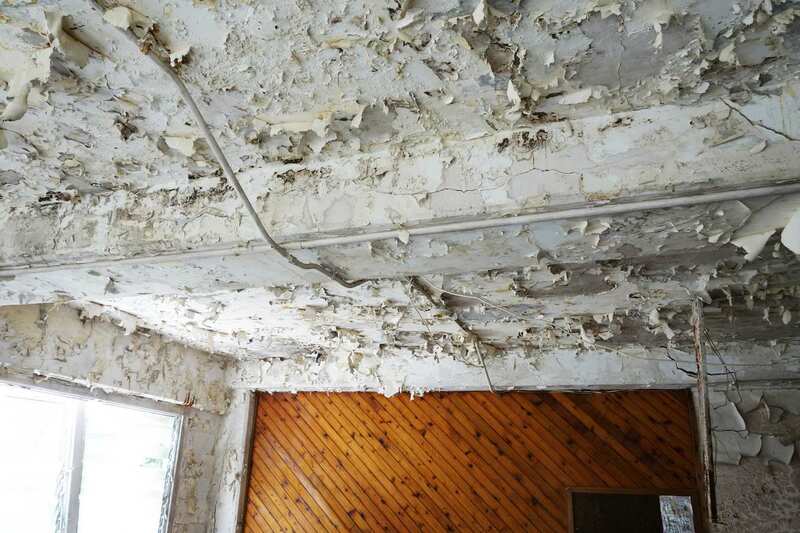 Fish and Wildlife Service officials said that the building is not in use. 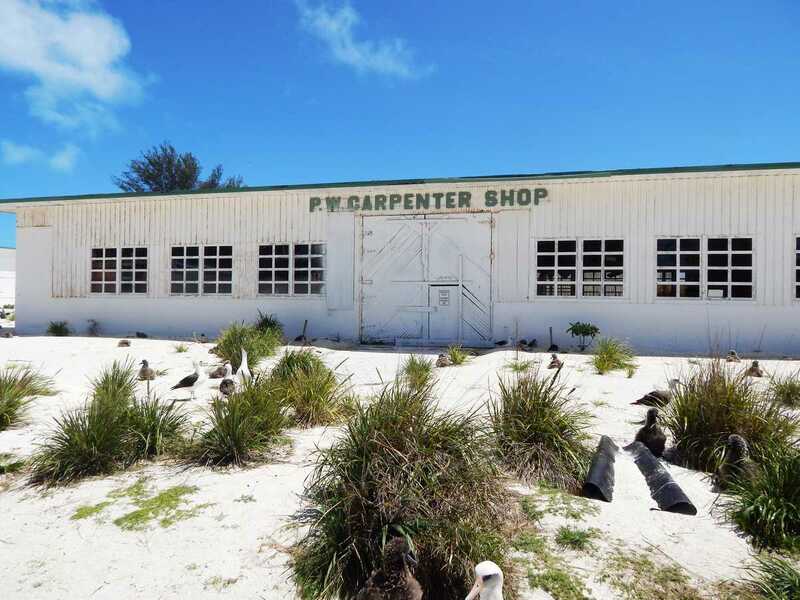 The carpentry shop was designed by the architect Albert Kahn and constructed in 1942 before the Battle of Midway during World War II. 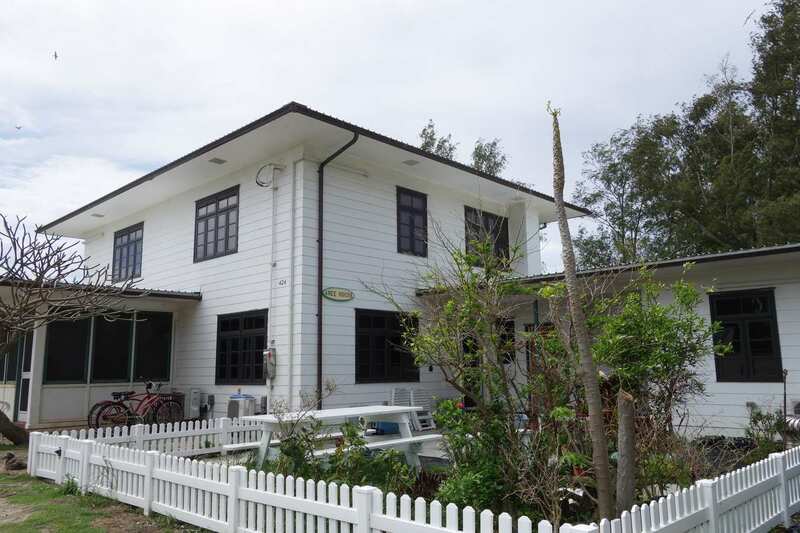 It is eligible for inclusion in the National Register of Historic Places. U.S. 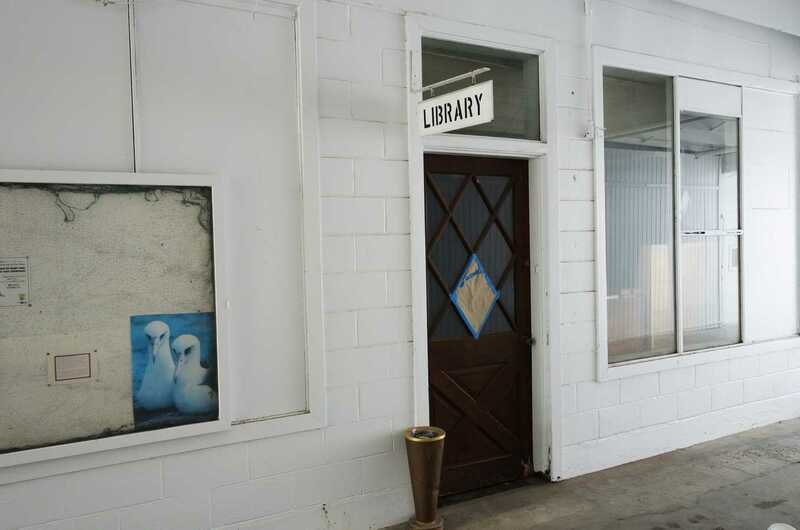 Fish and Wildlife Service officials said that the building is used for storage. The power station building, also known as the Cannon Building, was constructed in 1941. 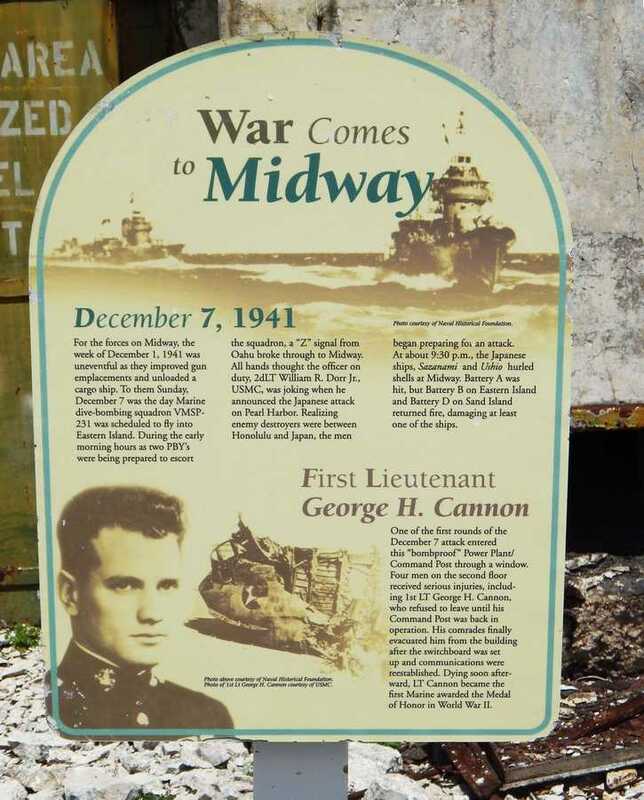 During the attack of Midway Atoll by the Japanese on December 7, 1941, the building was bombed and Lieutenant George H. Cannon was mortally wounded. 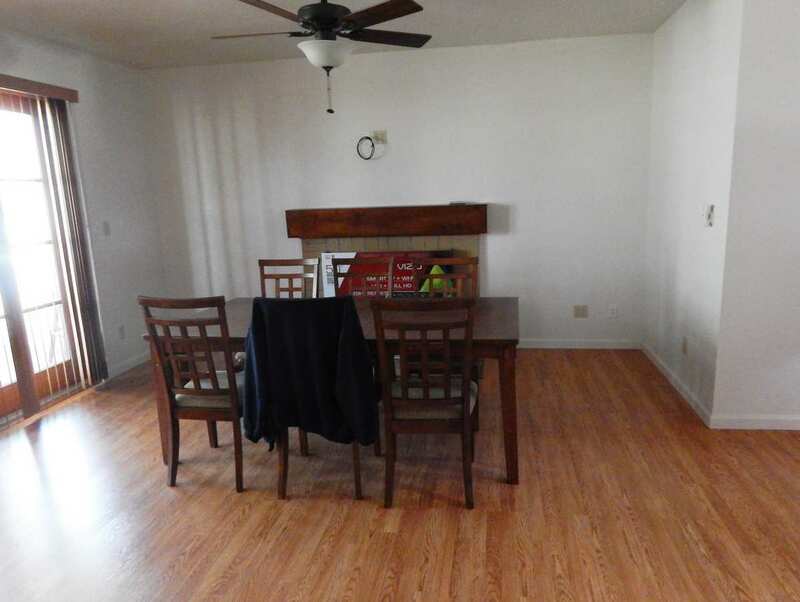 It is eligible for inclusion in the National Register of Historic Places. U.S. 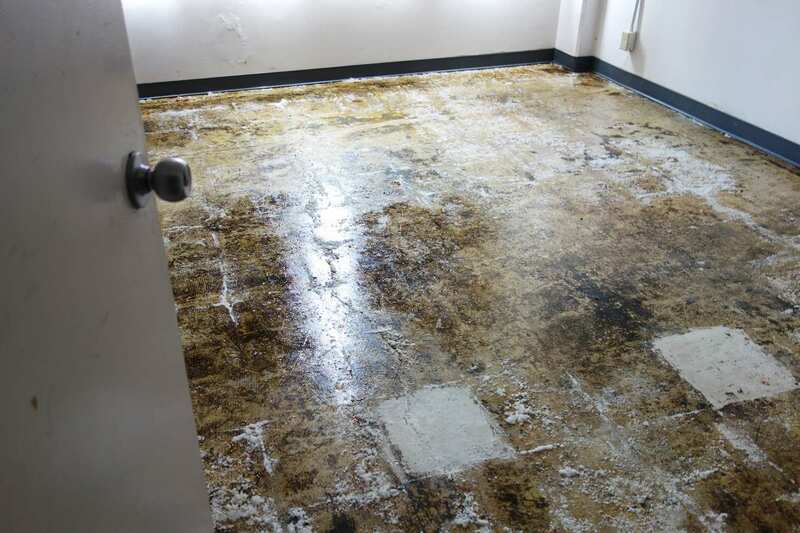 Fish and Wildlife Service officials said that the building is not in use. 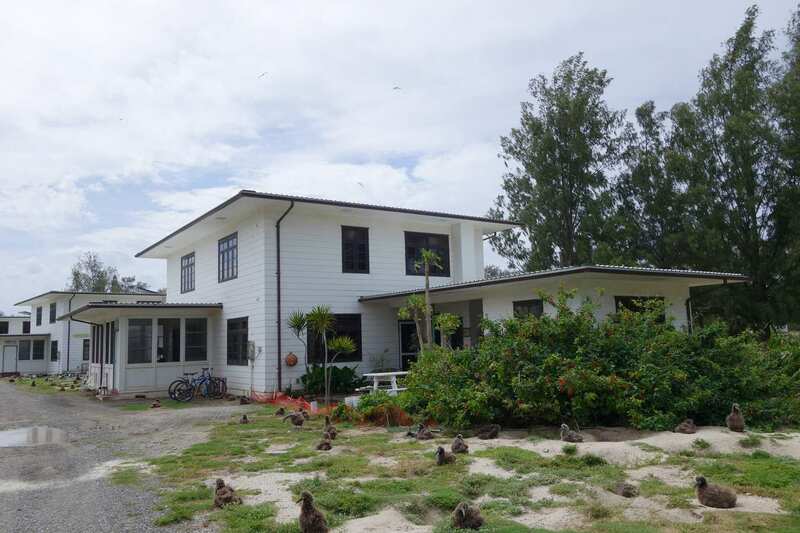 The Officer-in-Charge House was designed by the architect Albert Kahn and constructed in 1941 before the Battle of Midway during World War II. It is eligible for inclusion in the National Register of Historic Places. The U.S. 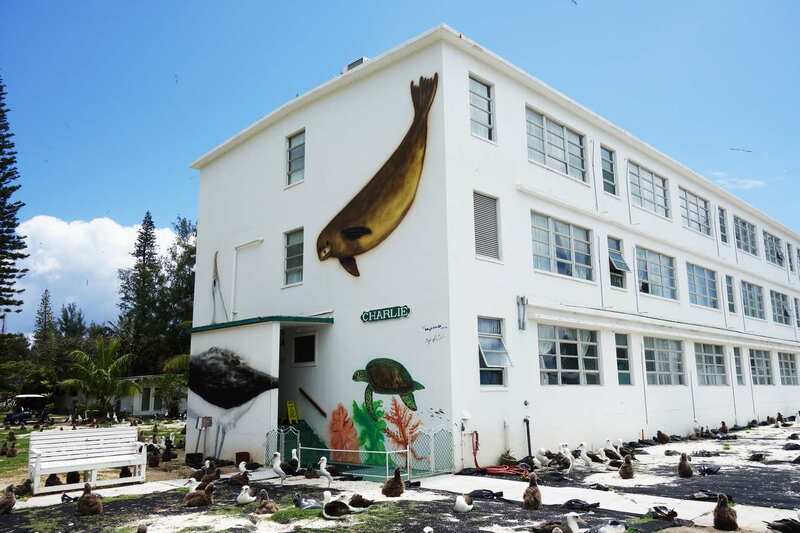 Fish and Wildlife Service uses the building to house the refuge manager of Midway Atoll. 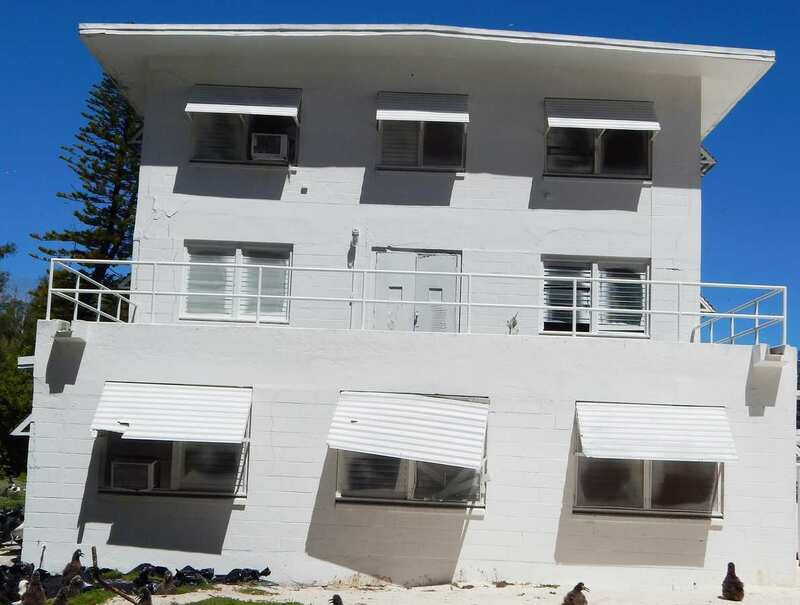 The Officers’ Quarters were designed by the architect Albert Kahn and constructed in 1941 before the Battle of Midway during World War II. 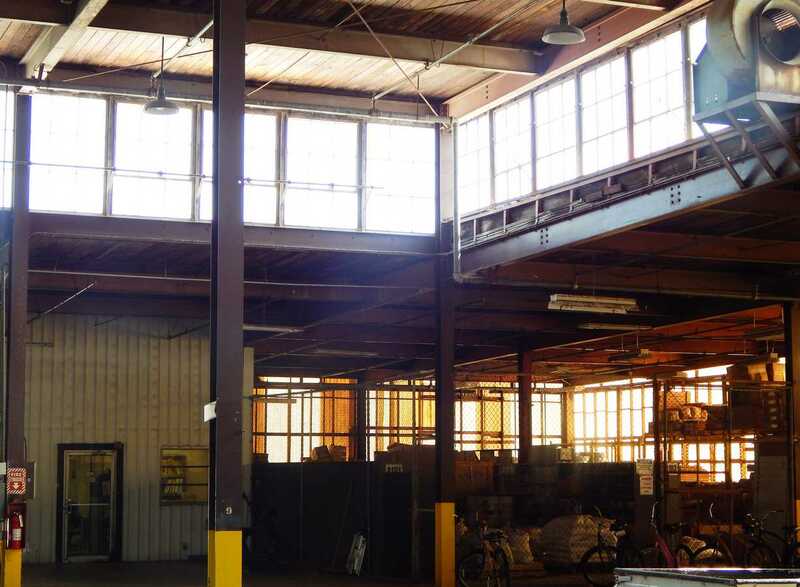 These buildings are eligible for inclusion in the National Register of Historic Places. 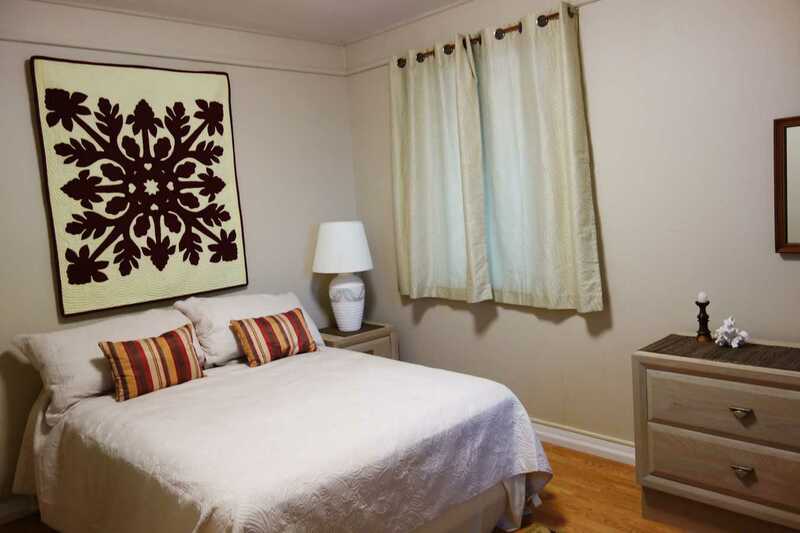 In 2009, American Recovery and Reinvestment Act funding was used to rehabilitate the Officers’ Quarters. They are in use by U.S. Fish and Wildlife Service employees and contractors for housing. 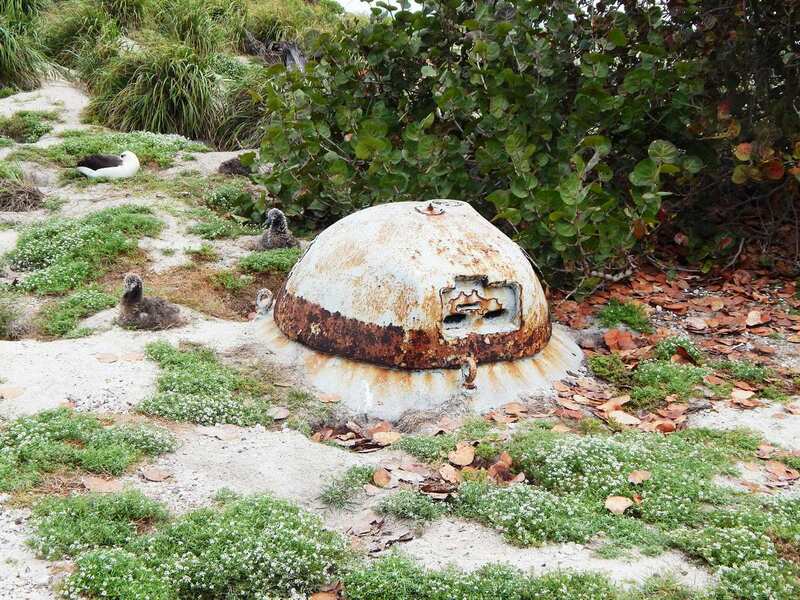 This metal pillbox was used as a defensive structure in the Battle of Midway during World War II. 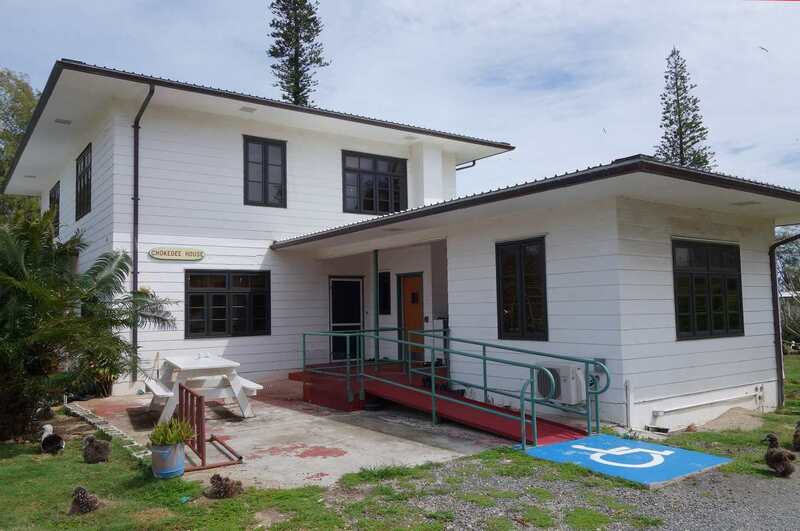 It is eligible for inclusion in the National Register of Historic Places. U.S. 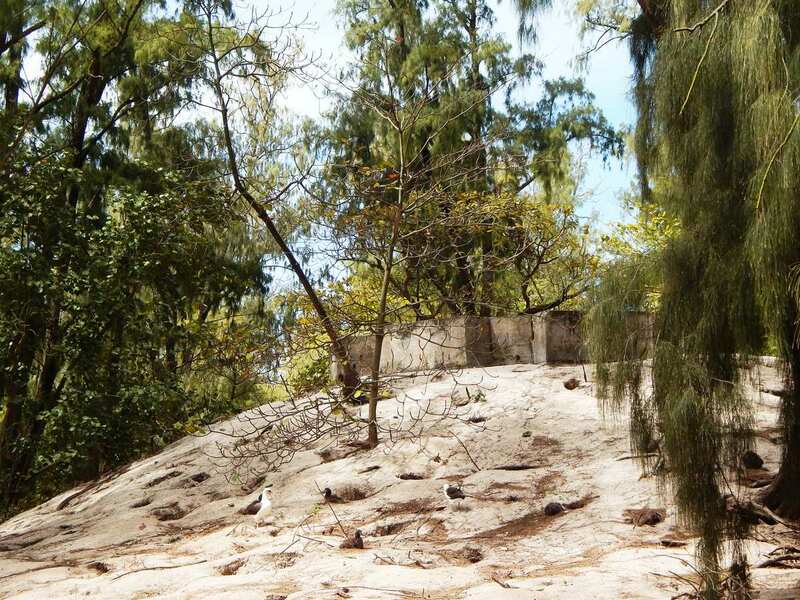 Fish and Wildlife Service officials said that the pillbox is not in use. 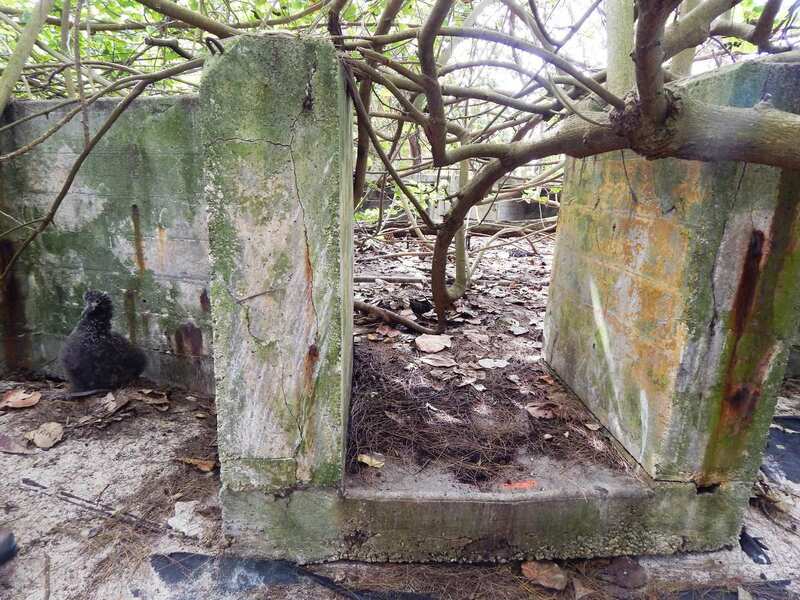 These metal pillboxes were used as defensive structures in the Battle of Midway during World War II. They are eligible for inclusion in the National Register of Historic Places. U.S. 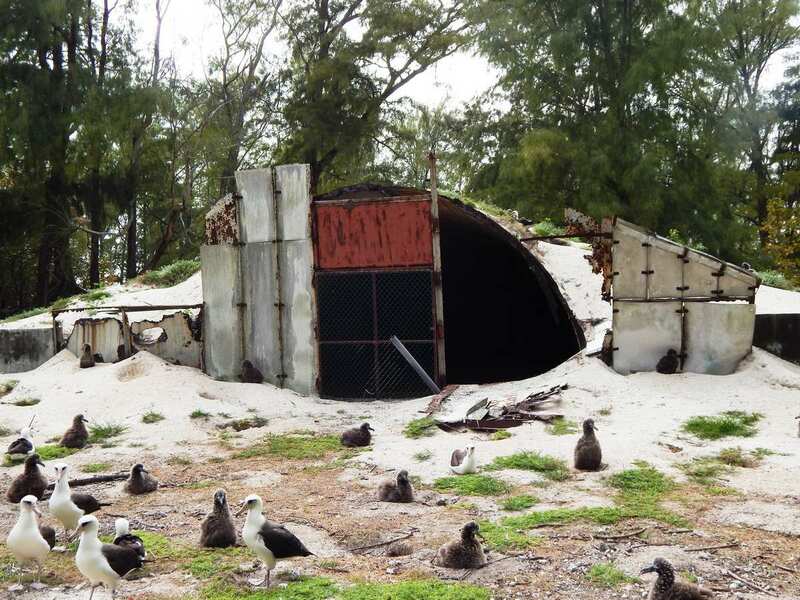 Fish and Wildlife Service officials said that the pillboxes have been moved into storage on Midway. 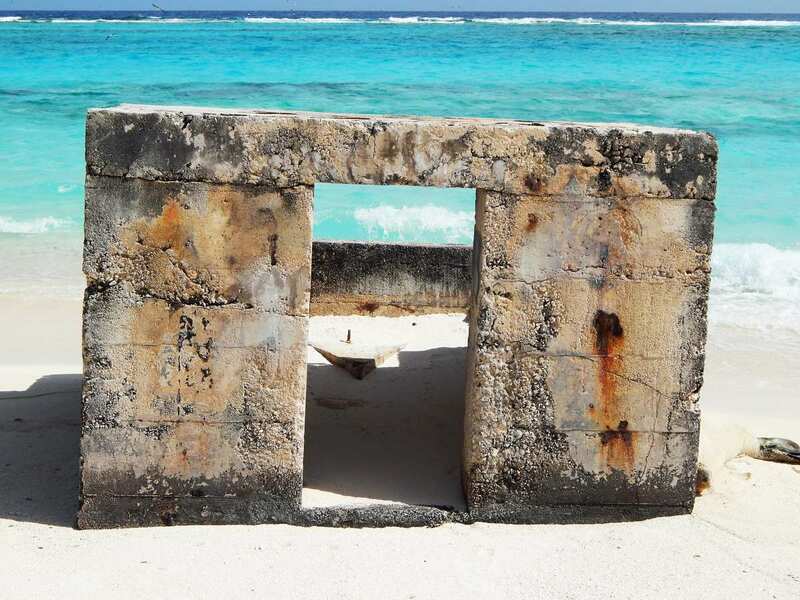 This concrete pillbox was a gun position used in the Battle of Midway during World War II. 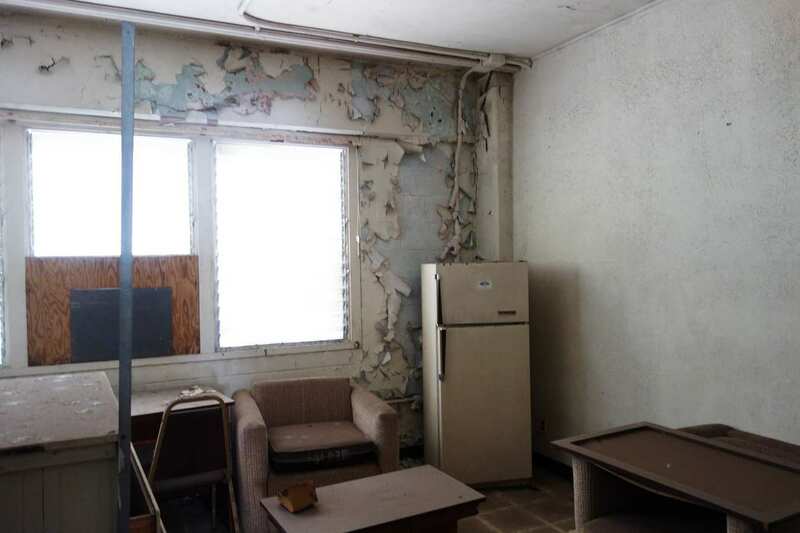 It is eligible for inclusion in the National Register of Historic Places. U.S. 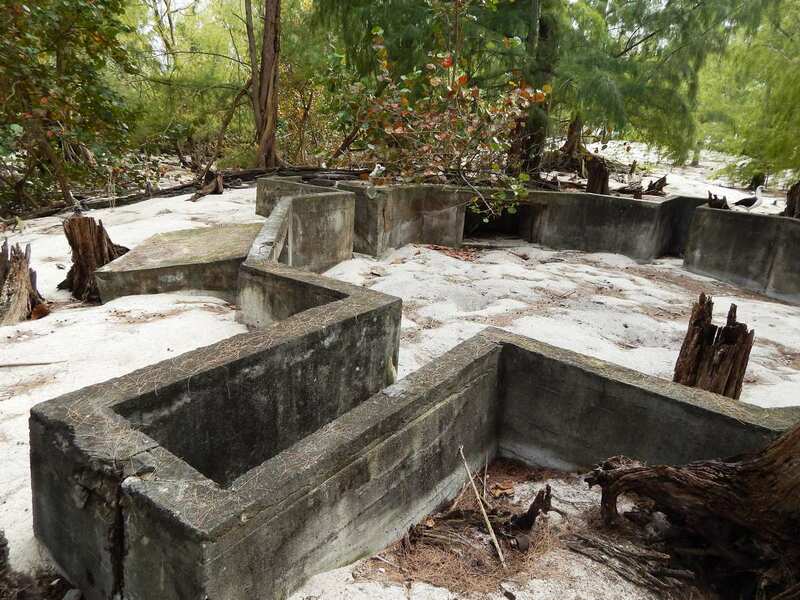 Fish and Wildlife Service officials said that the pillbox is not in use. 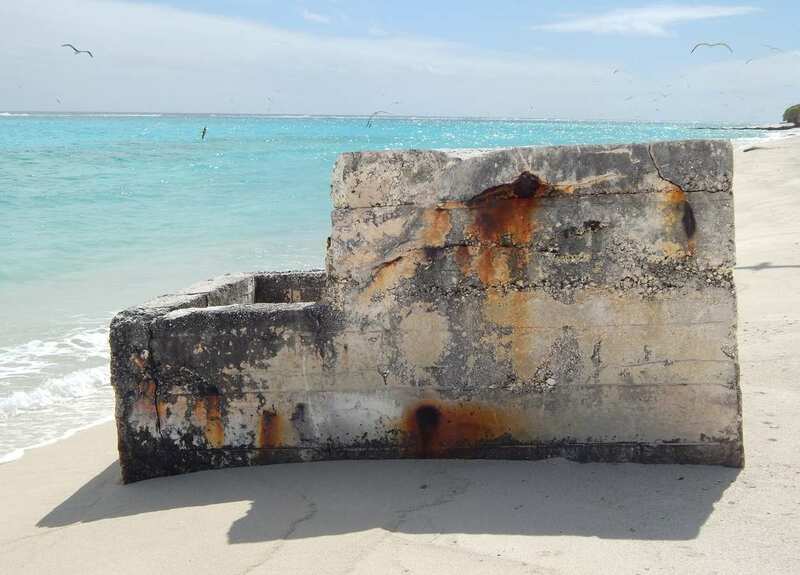 This concrete pillbox was a gun position used in the Battle of Midway during World War II. It was designated as a National Historic Landmark in 1987. U.S. 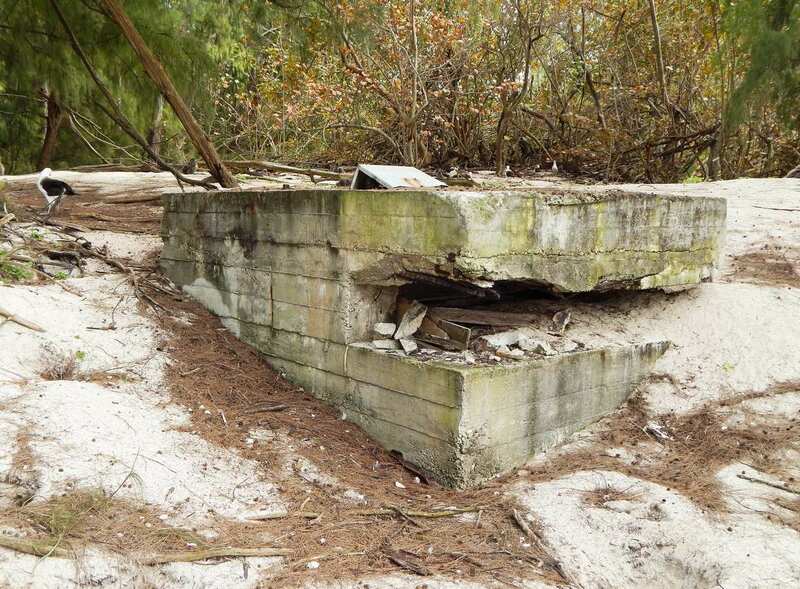 Fish and Wildlife Service officials said that the pillbox is not in use. 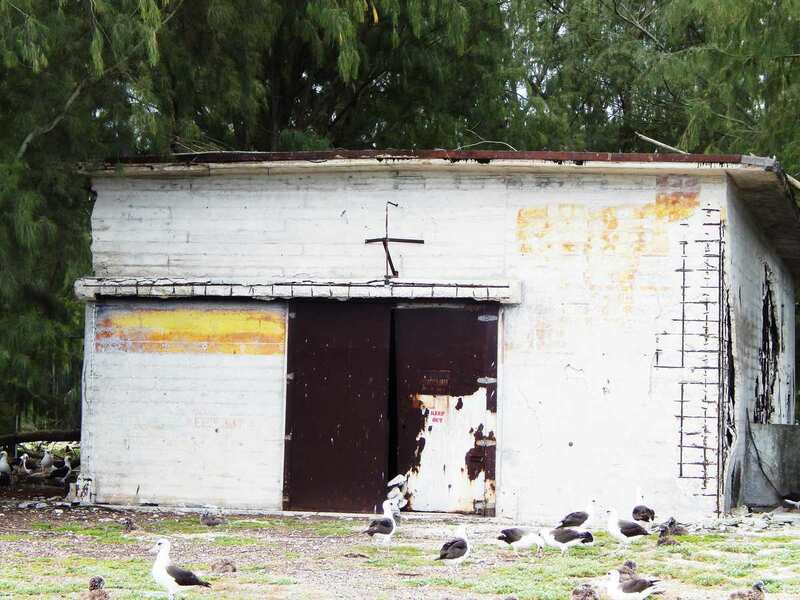 This Armco hut was used as an underground bunker for storing ammunition in the Battle of Midway during World War II. It was designated as a National Historic Landmark in 1987. U.S. Fish and Wildlife Service officials said that the hut is not in use. 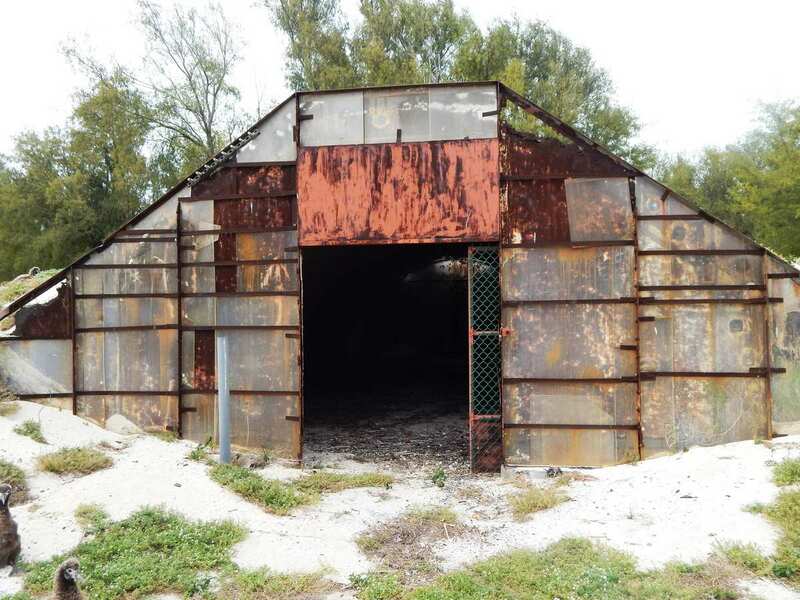 This Armco hut was used as an underground bunker for storing ammunition in the Battle of Midway during World War II. It was designated as a National Historic Landmark in 1987. 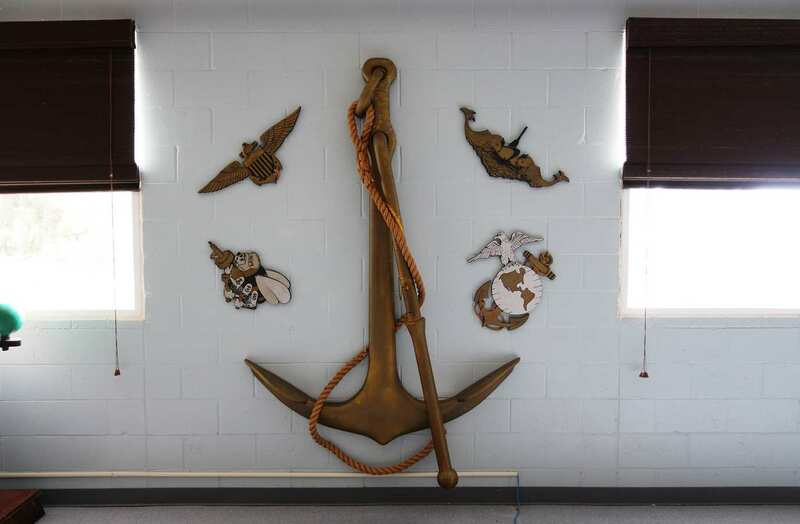 In 2001, the front panels (not shown) were fabricated and installed using Save America’s Treasures grant funding. U.S. Fish and Wildlife Service officials said that the hut is not in use. 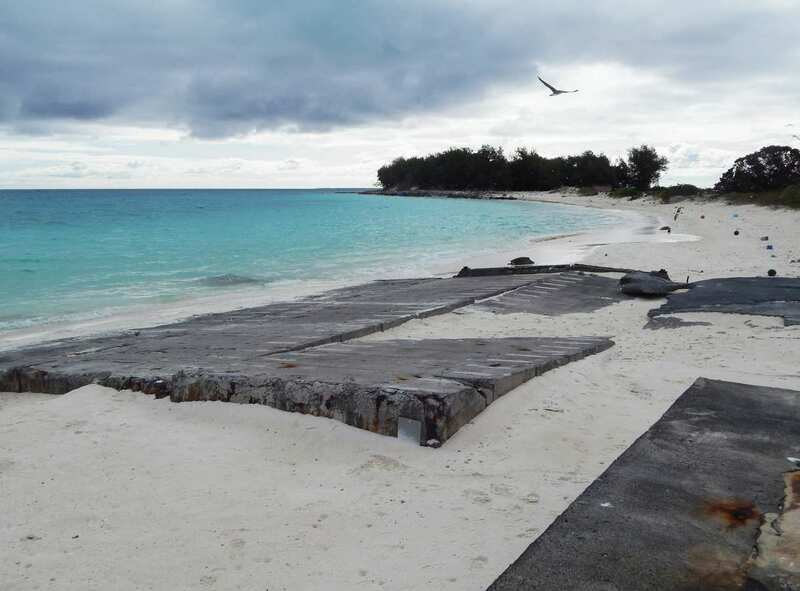 The revetments were used as sand dune bunkers to protect planes during World War II. They are eligible for inclusion in the National Register of Historic Places. U.S. Fish and Wildlife Service officials said that the revetments are not in use. This gun position was used in the Battle of Midway during World War II. It is eligible for inclusion in the National Register of Historic Places. U.S. Fish and Wildlife Service officials said that the gun position is not in use. This gun position was used in the Battle of Midway during World War II. It was designated as a National Historic Landmark in 1987. U.S. Fish and Wildlife Service officials said that the gun position is not in use. 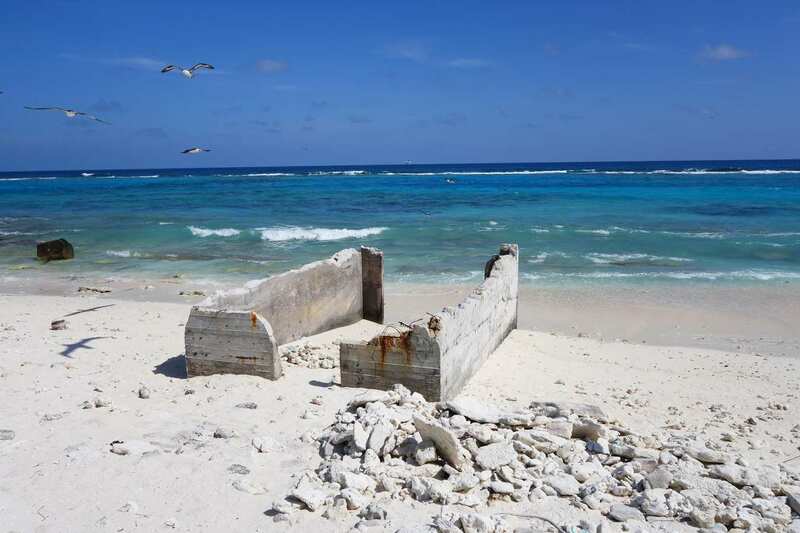 This possible gun position is a concrete structure built on the shore of Midway Atoll used in the Battle of Midway during World War II. It is eligible for inclusion in the National Register of Historic Places. 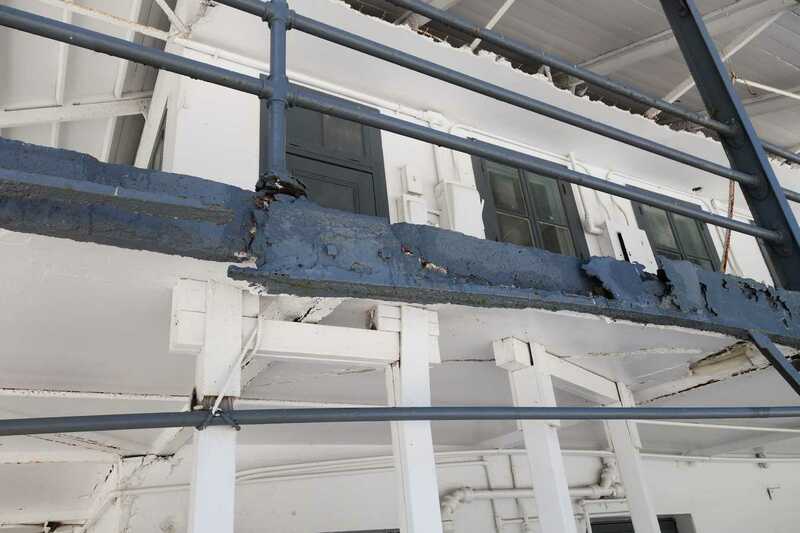 GAO observed during a site visit in April 2015 that the structure was deteriorated. U.S. 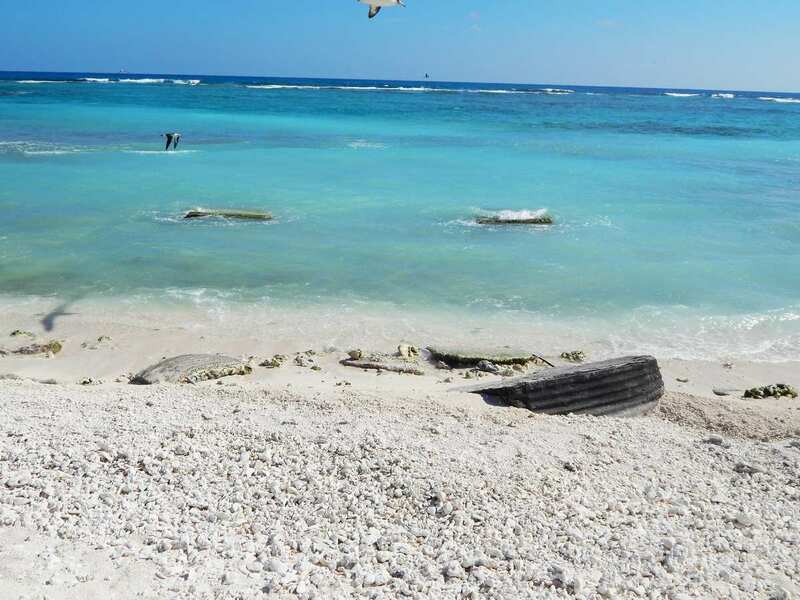 Fish and Wildlife Service officials said the deterioration was likely caused by overwash on Midway Atoll from the tsunami that also hit Japan in 2011. 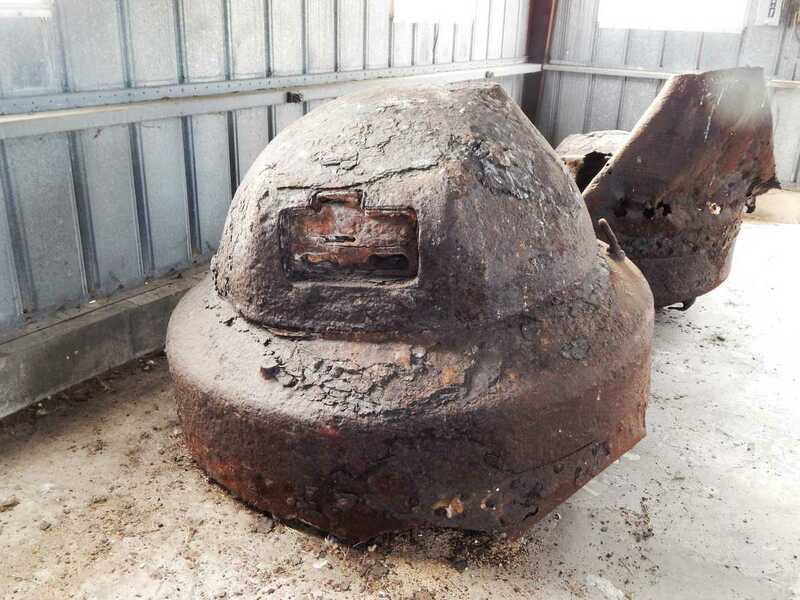 The bomb (left) and submarine torpedo (right) are associated with the Battle of Midway during World War II. They are eligible for inclusion in the National Register of Historic Places. U.S. 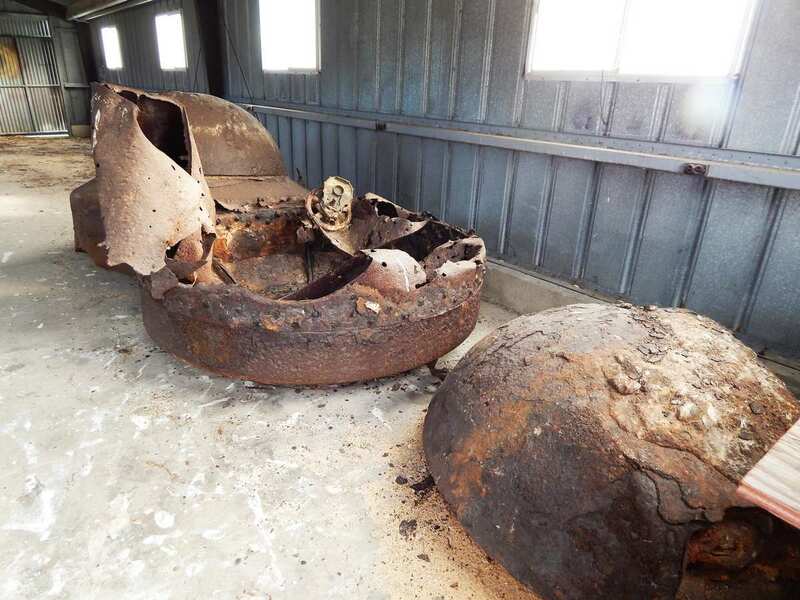 Fish and Wildlife Service officials said that the bomb and torpedo are on display in front of the Main Hangar Building. 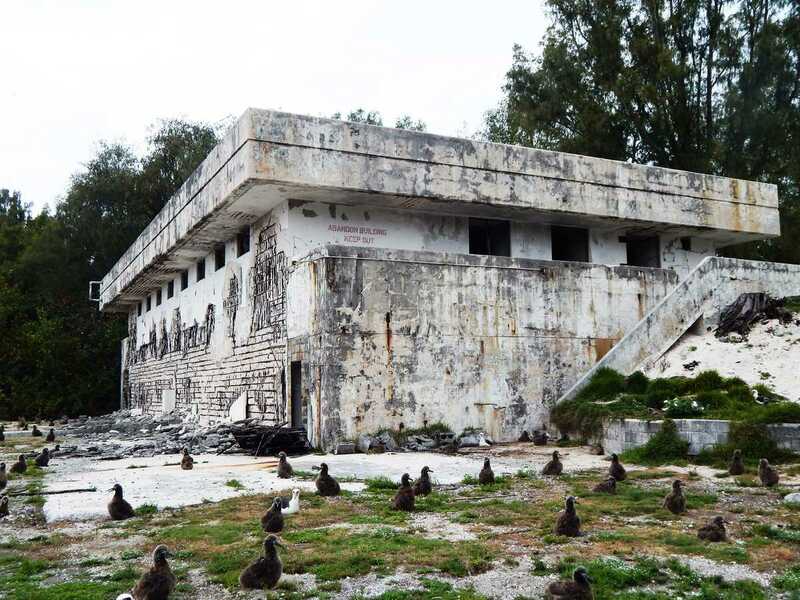 The underground bunker is a concrete structure associated with the Battle of Midway during World War II. It is eligible for inclusion in the National Register of Historic Places. U.S. 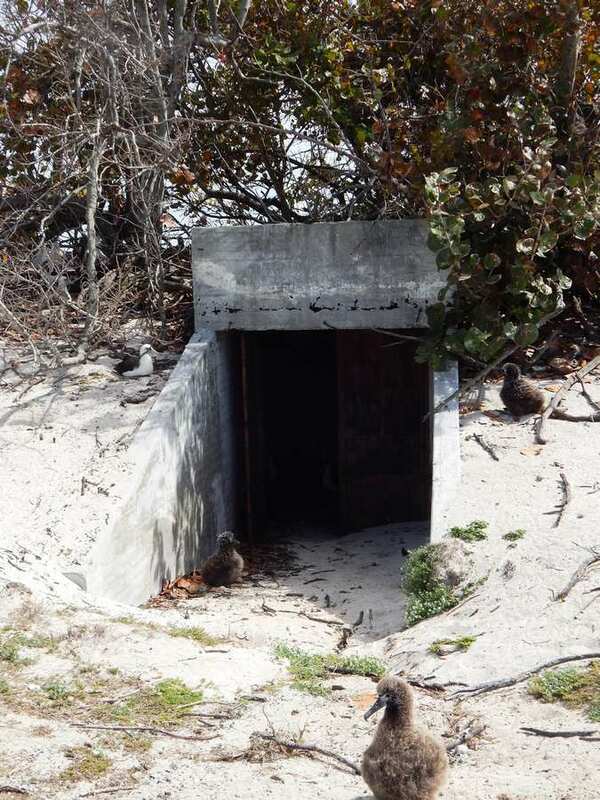 Fish and Wildlife Service officials said that the bunker is not in use. The submarine netting was used to defend against submarines entering the harbor during World War II. It is eligible for inclusion in the National Register of Historic Places. U.S. 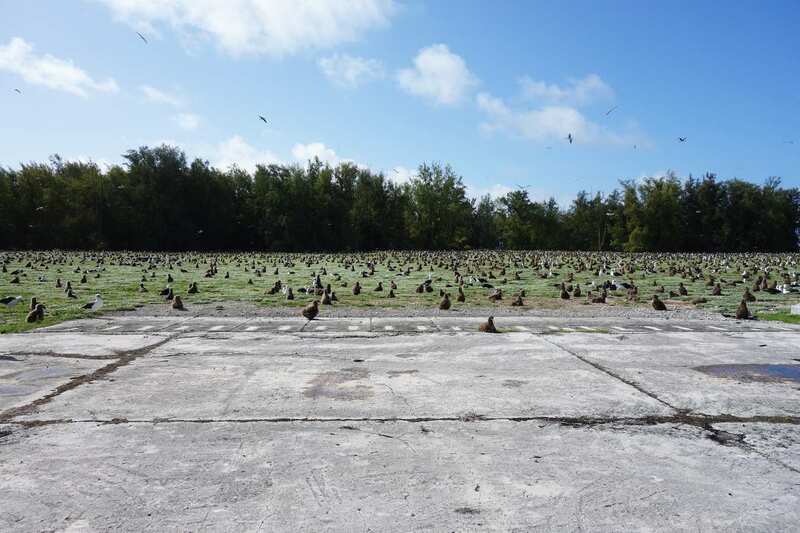 Fish and Wildlife Service officials said that the netting has been moved into storage on Midway Atoll and is not in use. 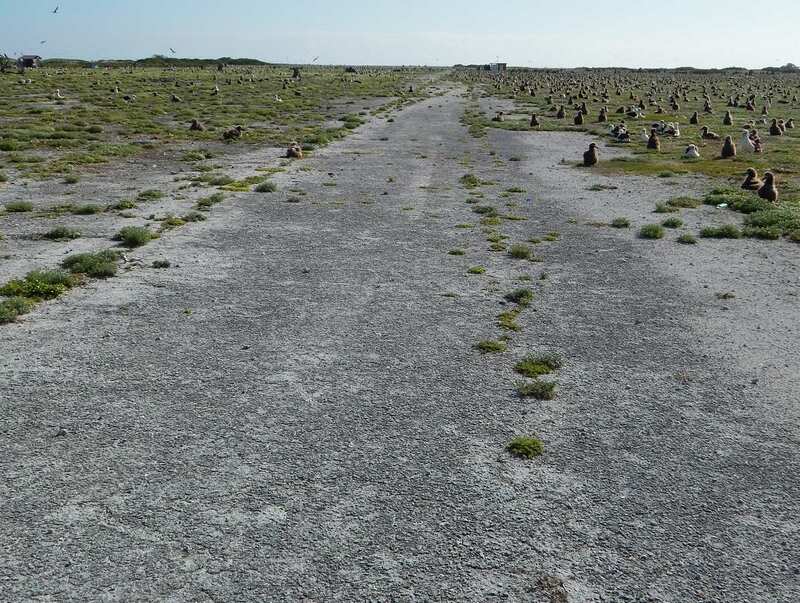 The three runways on Eastern Island of Midway Atoll were used during World War II in the Battle of Midway. They are eligible for inclusion in the National Register of Historic Places. U.S. 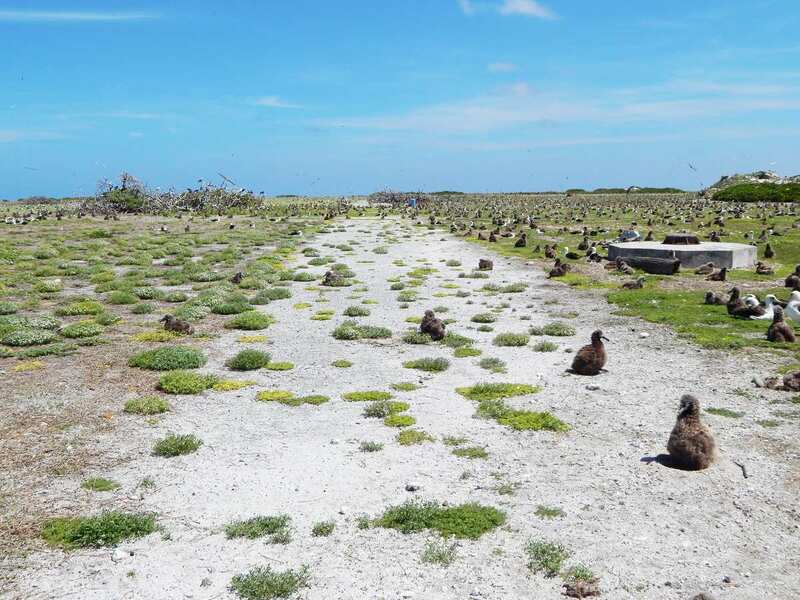 Fish and Wildlife Service officials said that the runways are not in use. 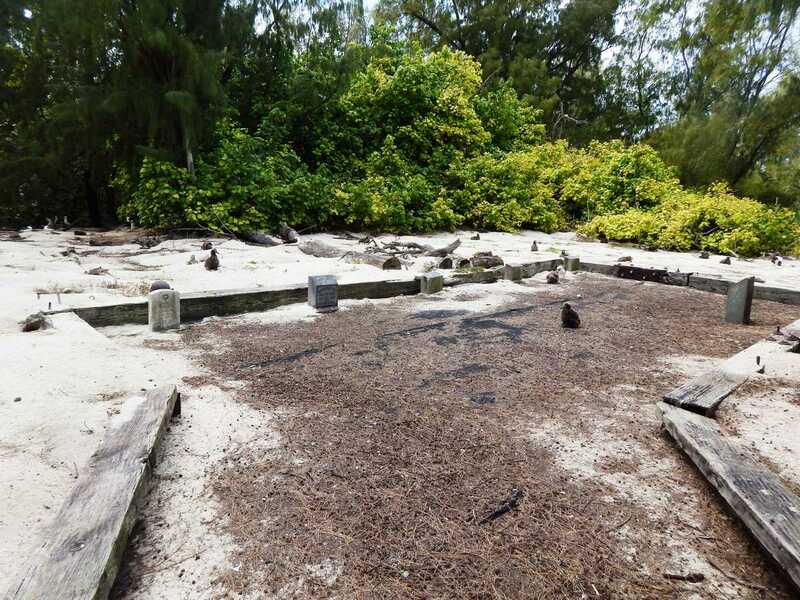 This seaplane ramp is a historic property associated with the Battle of Midway during World War II. It is eligible for inclusion in the National Register of Historic Places. U.S. Fish and Wildlife Service officials said that the seaplane ramp is used as a boat ramp. 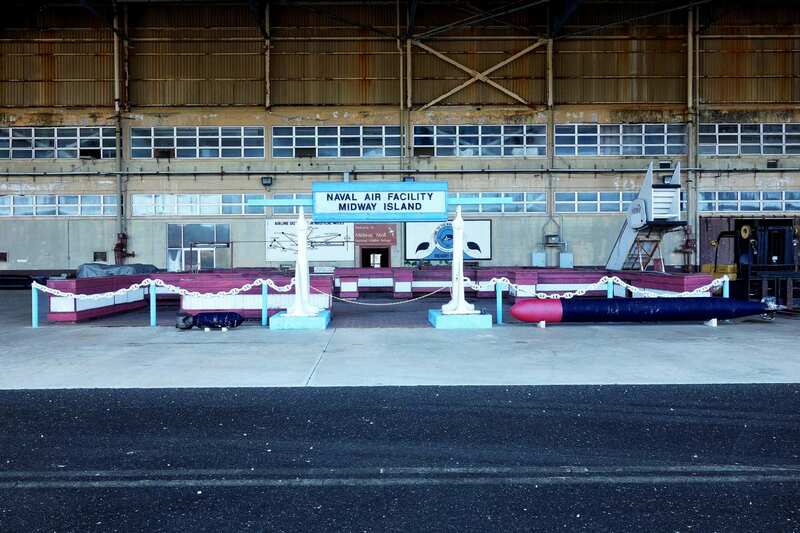 This seaplane ramp is a historic property associated with the Battle of Midway during World War II. It is eligible for inclusion in the National Register of Historic Places. 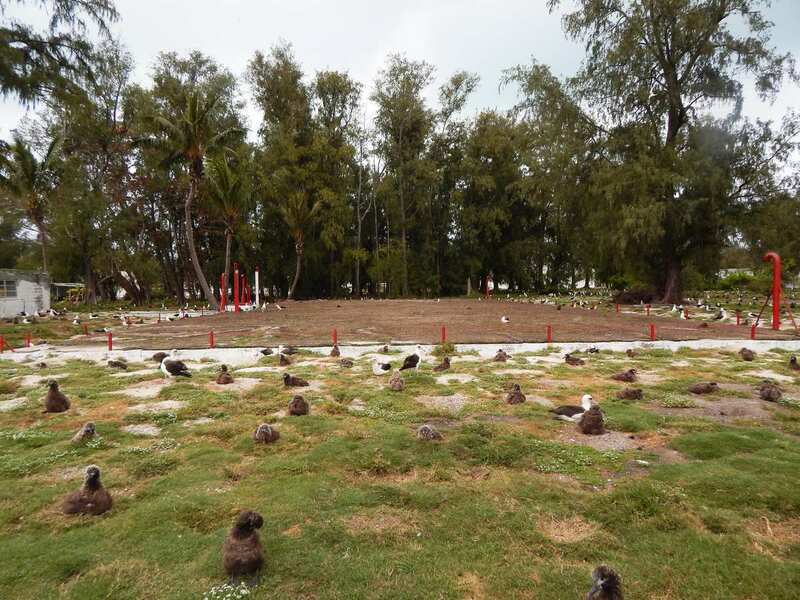 GAO observed during a site visit in April 2015 that most of the seaplane ramp is buried under soil. 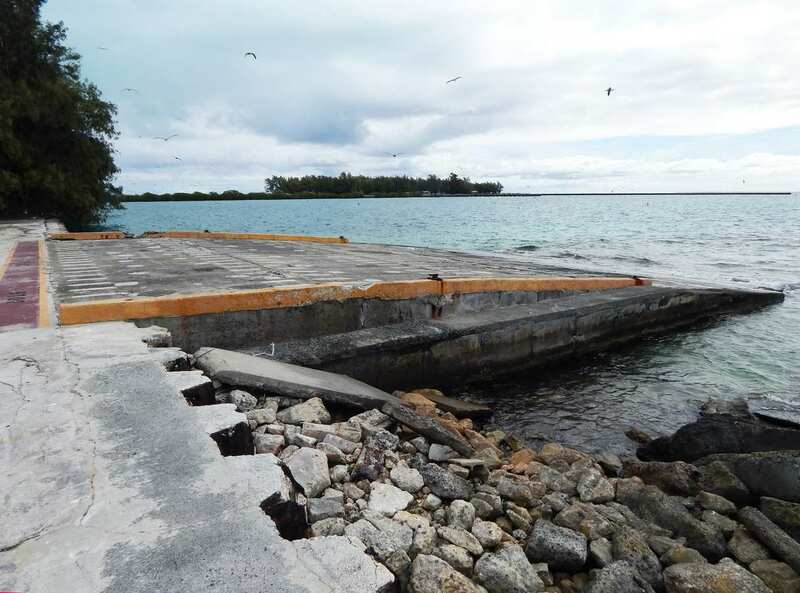 This seaplane ramp is a historic property associated with the Battle of Midway during World War II. It is eligible for inclusion in the National Register of Historic Places. U.S. 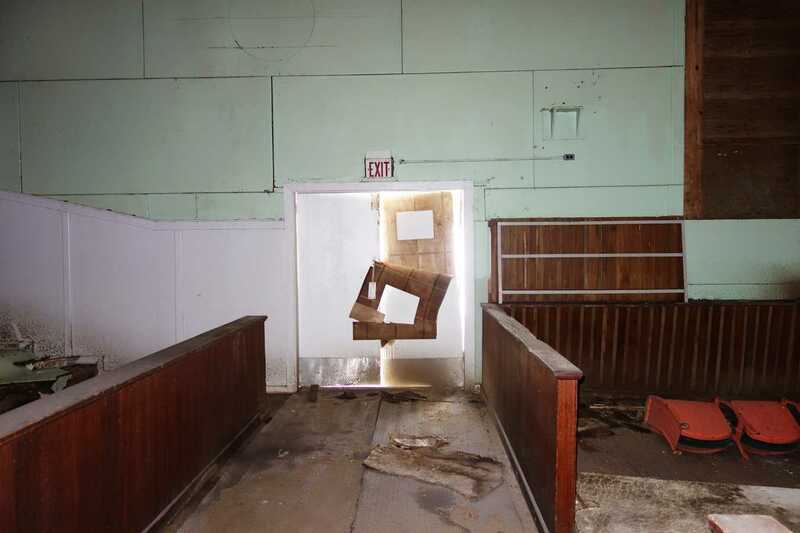 Fish and Wildlife Service officials said that the ramp is not in use. 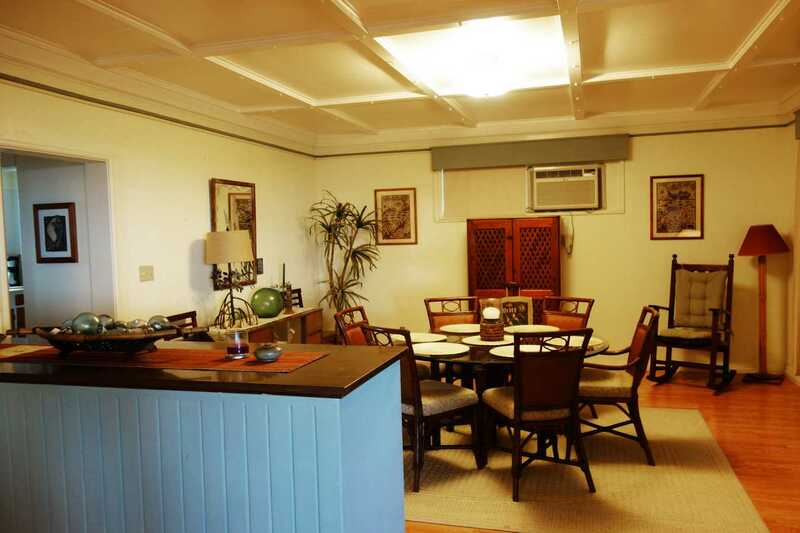 The underground shelter is a historic structure associated with the Battle of Midway during World War II. It is eligible for inclusion in the National Register of Historic Places. U.S. 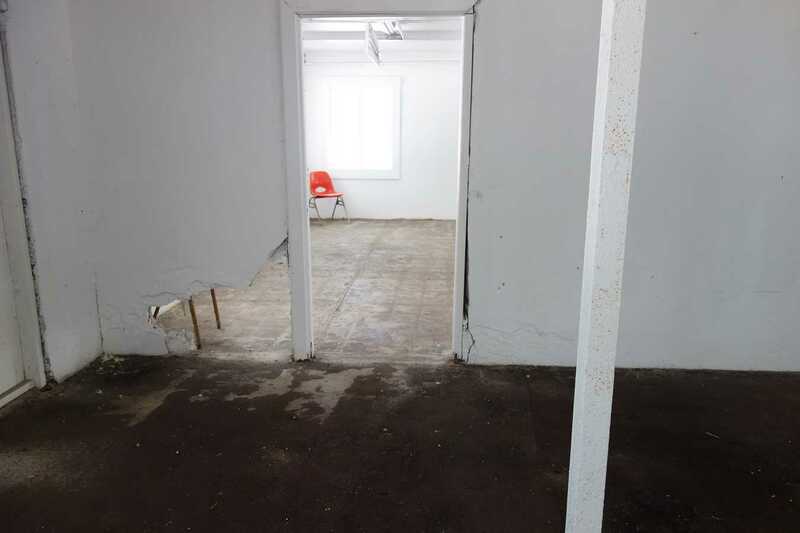 Fish and Wildlife Service officials said that the shelter is not in use. The Midway Memorial Plaque was placed shortly after the Battle of Midway during World War II in commemoration. It is eligible for inclusion in the National Register of Historic Places. 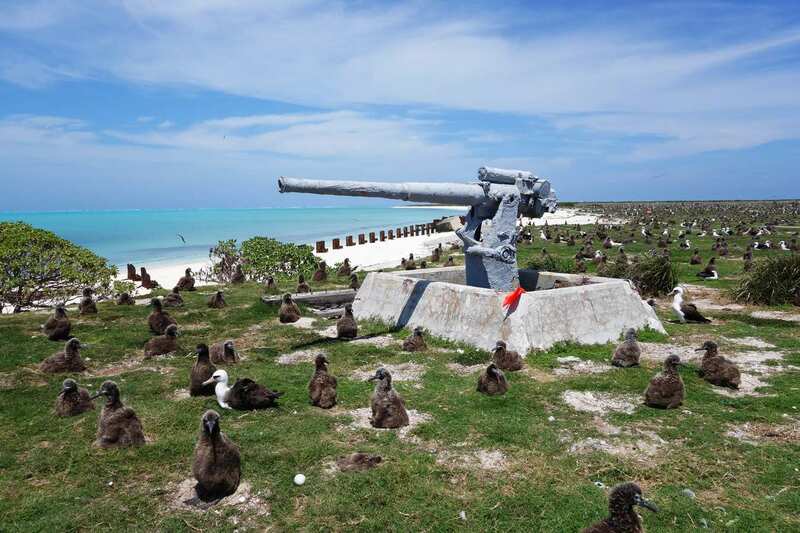 The anti-aircraft gun is a historic property associated with the naval air station on Midway Atoll from 1942 to 1945. It is eligible for inclusion in the National Register of Historic Places. U.S. Fish and Wildlife Service officials said that the gun is not in use. 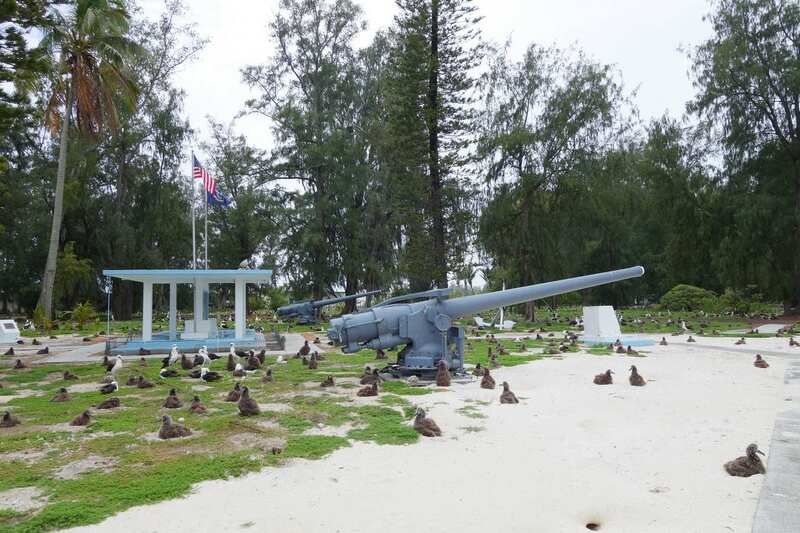 The two 5-inch naval guns, located within the Midway Memorial, are associated with the naval air station on Midway Atoll from 1942 to 1945. 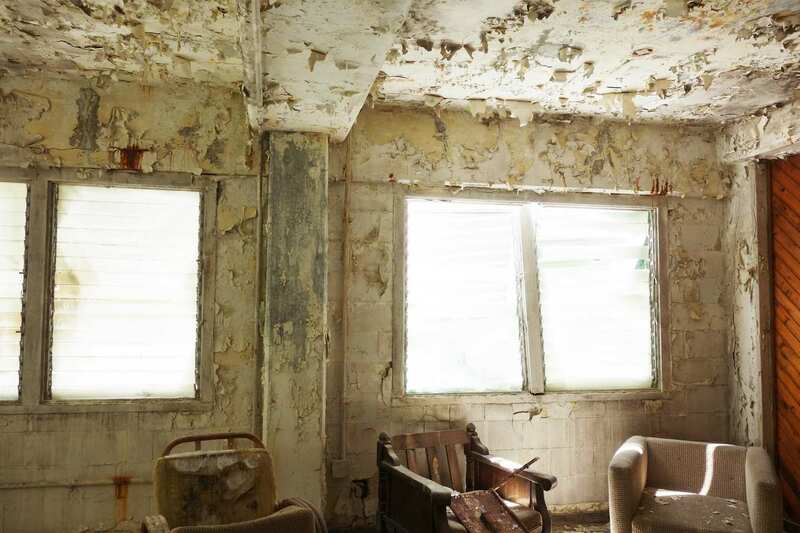 They are eligible for inclusion in the National Register of Historic Places. 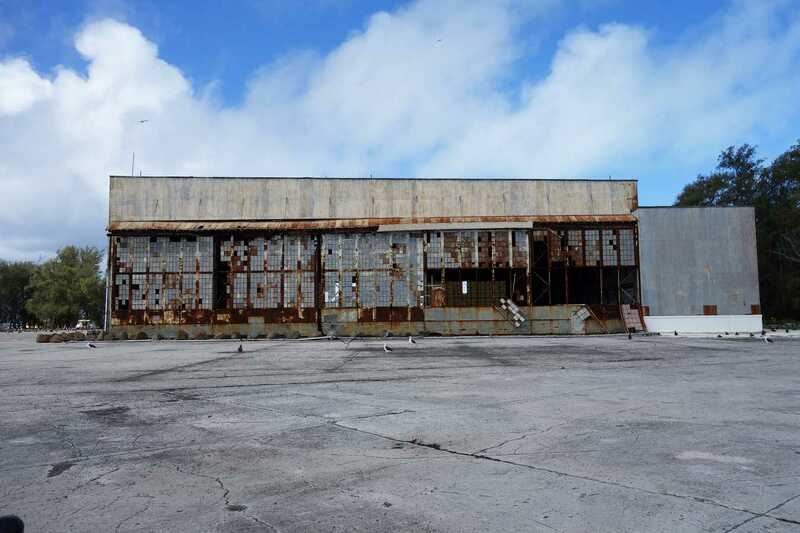 This water reservoir is associated with the naval air station on Midway Atoll from 1942 to 1945. It is eligible for inclusion in the National Register of Historic Places. U.S. Fish and Wildlife Service officials said that the water reservoir is used for freshwater storage. 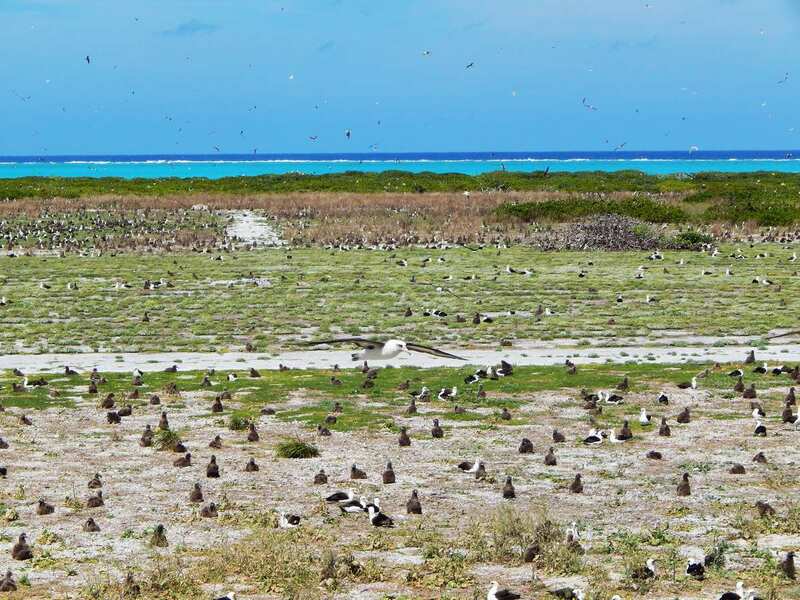 The brackish water reservoir is associated with the naval air station on Midway Atoll from 1942 to 1945. It is eligible for inclusion in the National Register of Historic Places. U.S. Fish and Wildlife Service officials said that the reservoir not in use. 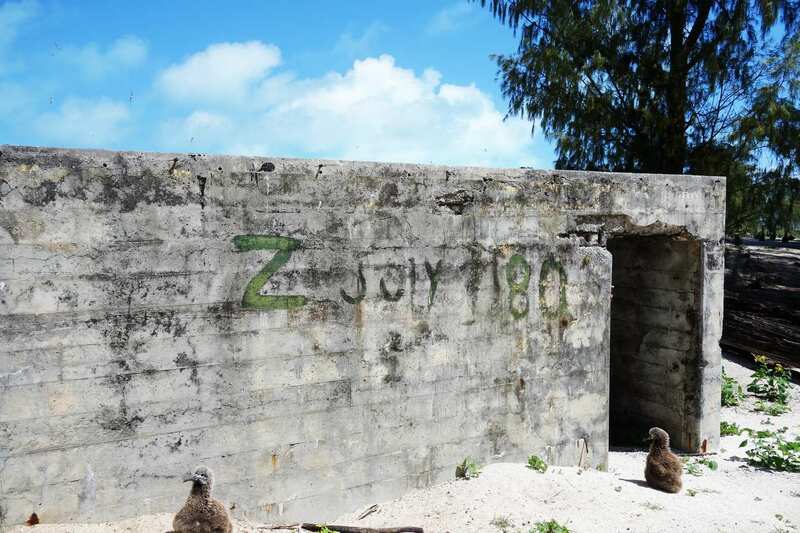 The electrical switch station is associated with the naval air station on Midway Atoll from 1942 to 1945. It is eligible for inclusion in the National Register of Historic Places. U.S. 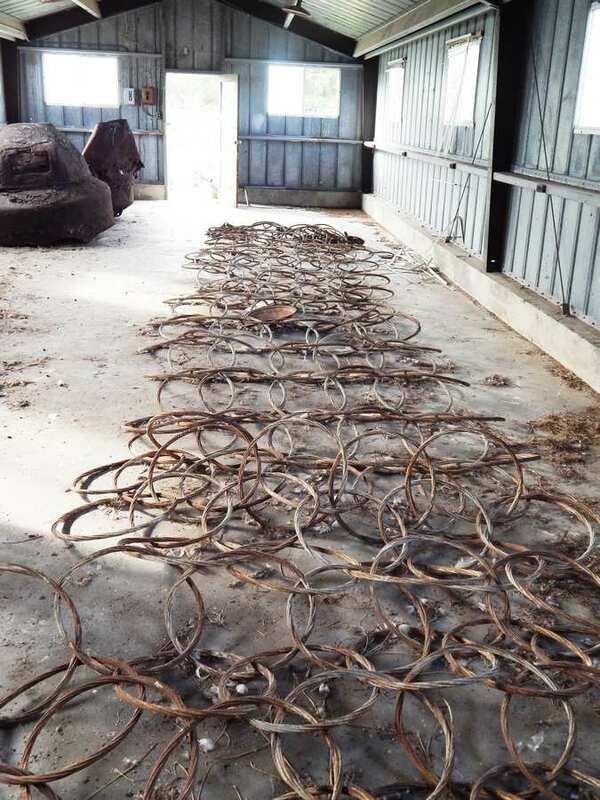 Fish and Wildlife Service officials said that the station is used for storage. 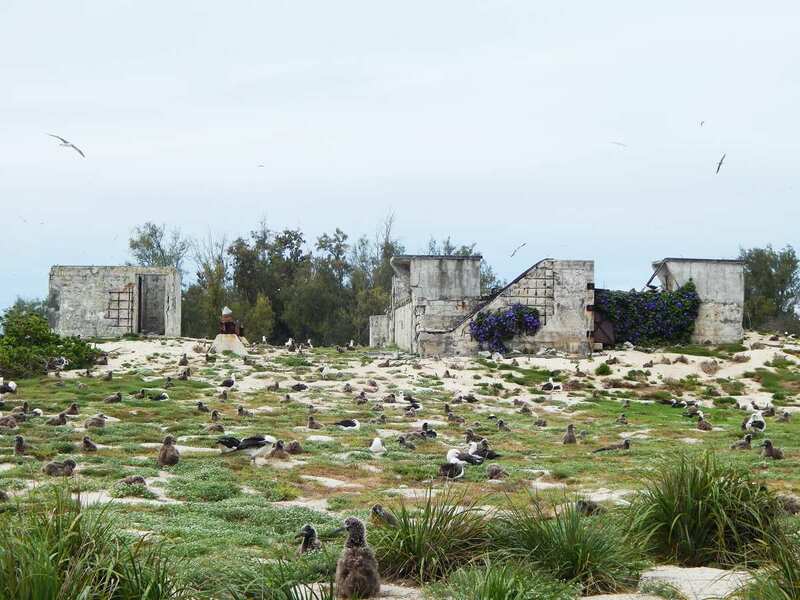 The small radar building is associated with the naval air station on Midway Atoll from 1942 to 1945. It is eligible for inclusion in the National Register of Historic Places. U.S. Fish and Wildlife Service officials said that the building is not in use. 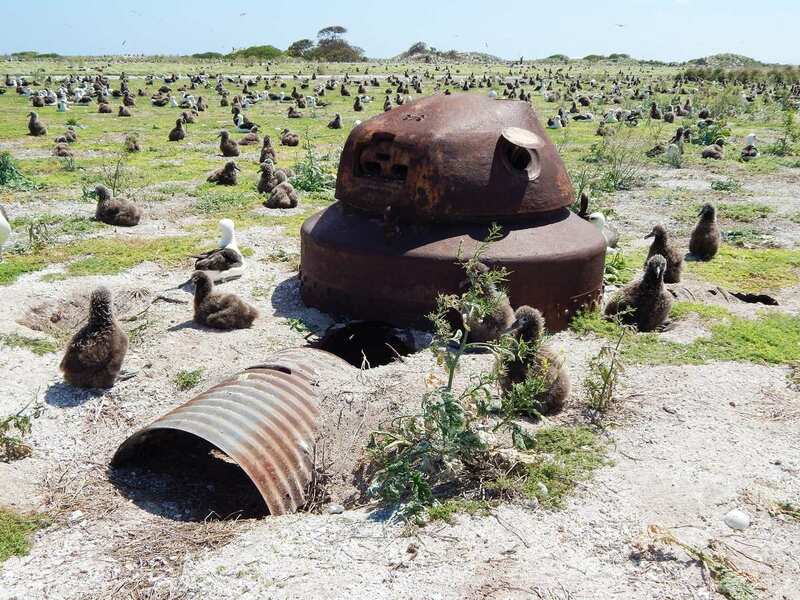 The radar tower bunker is associated with the naval air station on Midway Atoll from 1942 to 1945. It is eligible for inclusion in the National Register of Historic Places. U.S. 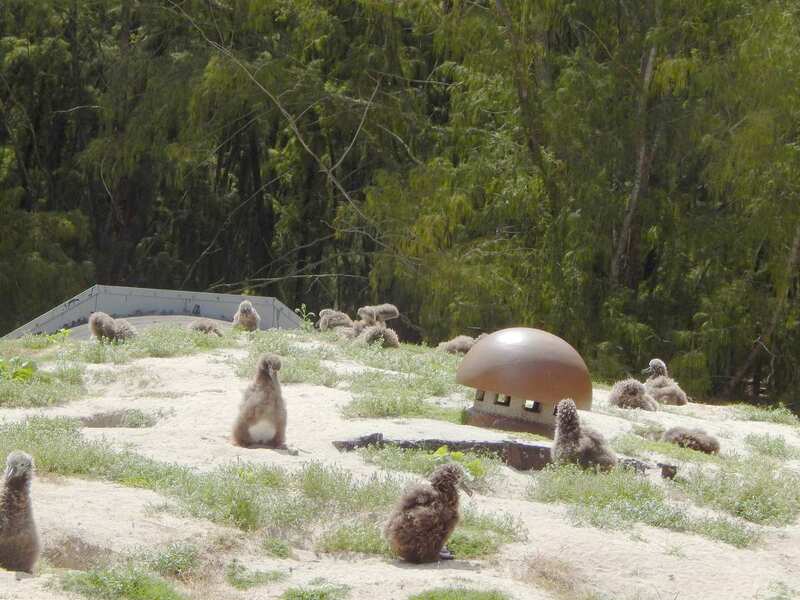 Fish and Wildlife Service officials said that the bunker is not in use. 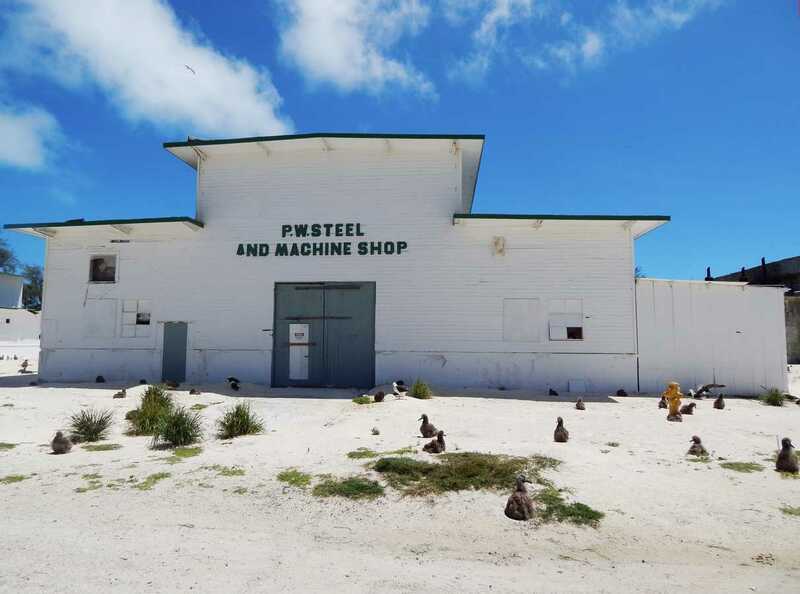 The diesel power plant and salt water pumping station is associated with the naval air station on Midway Atoll from 1942 to 1945. It is eligible for inclusion in the National Register of Historic Places. U.S. 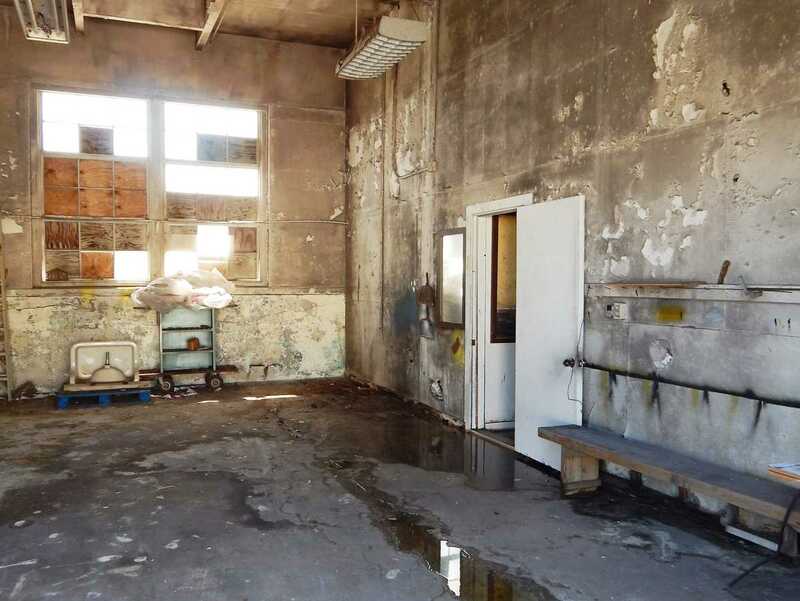 Fish and Wildlife Service officials said that the plant and pumping station are not in use. 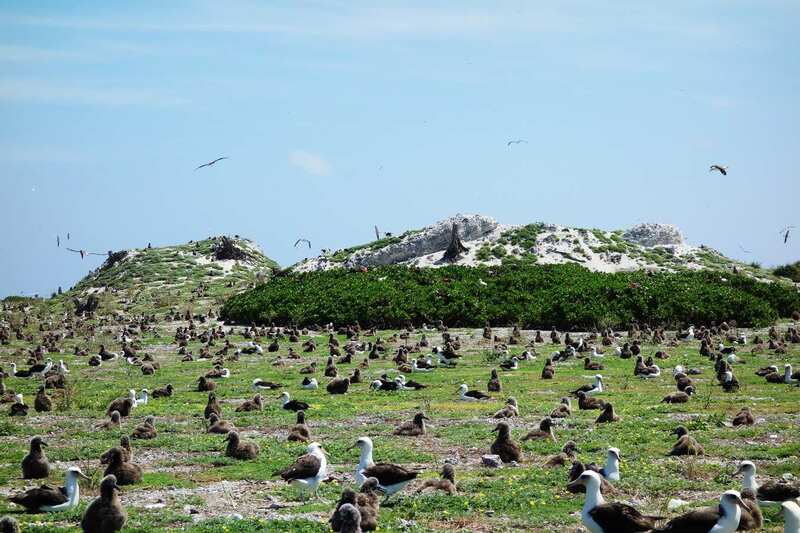 The command post is associated with the naval air station on Midway Atoll from 1942 to 1945. It is eligible for inclusion in the National Register of Historic Places. U.S. 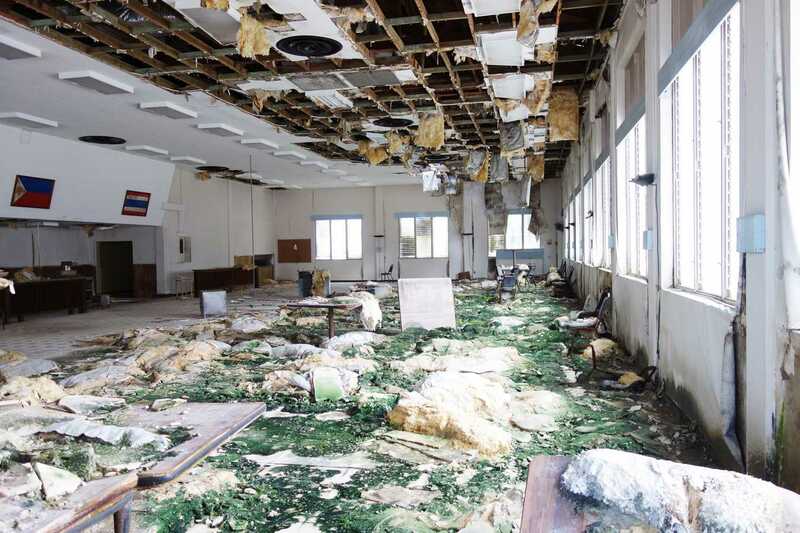 Fish and Wildlife Service officials said that the building is not in use. 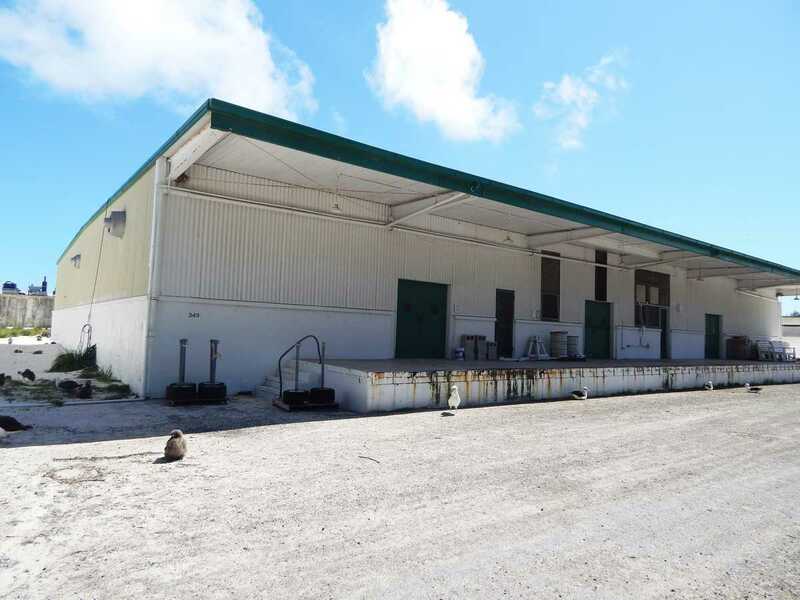 The Bachelor Officer Quarters Bravo Barracks was constructed in 1957 as part of the buildup of Midway Atoll’s naval air station during the Cold War. 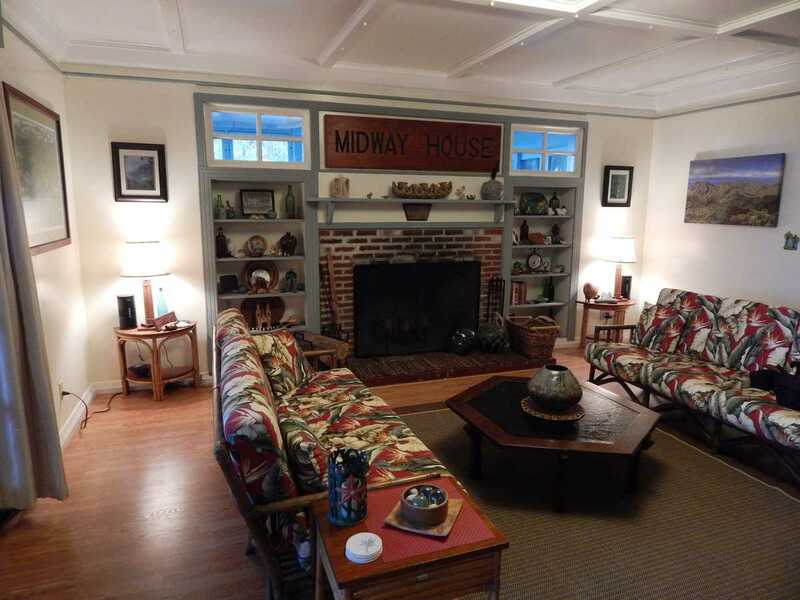 The building was refurbished by the Midway Phoenix Corporation for visitor and employee housing. U.S. 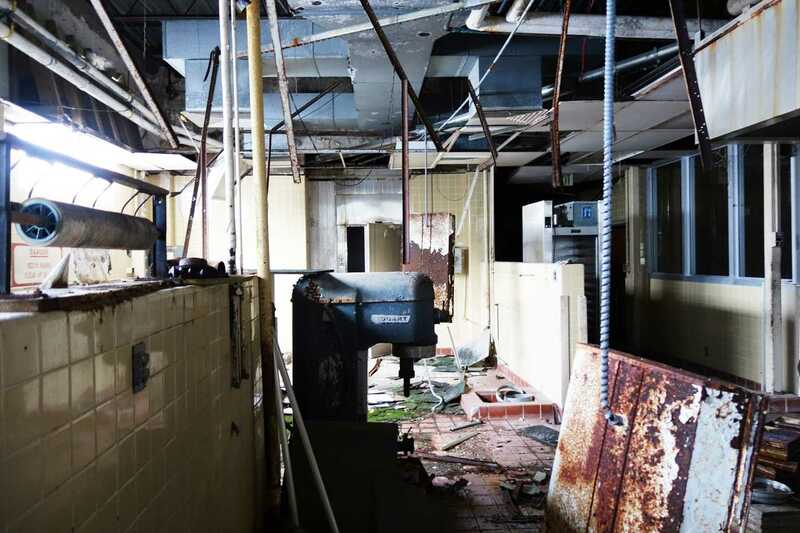 Fish and Wildlife Service officials said that the building is not in use and the agency plans to demolish the building. 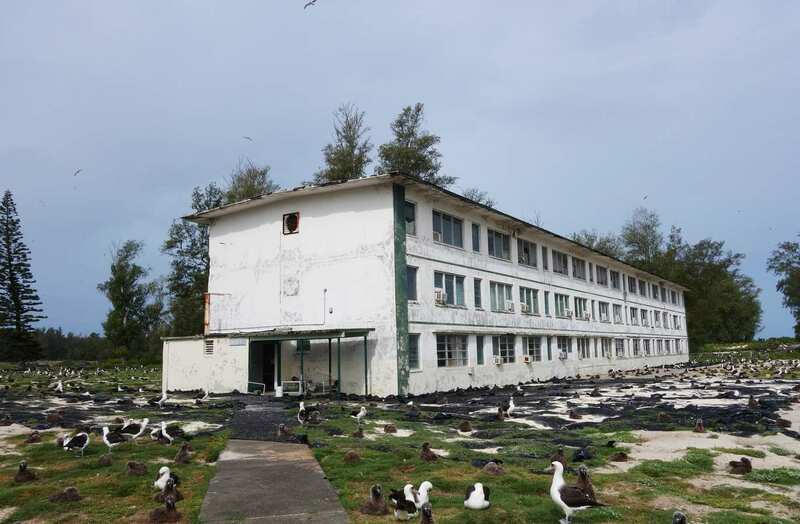 The Bachelor Enlisted Quarters Delta Barracks was constructed in 1957 as part of the buildup of Midway Atoll’s naval air station during the Cold War. 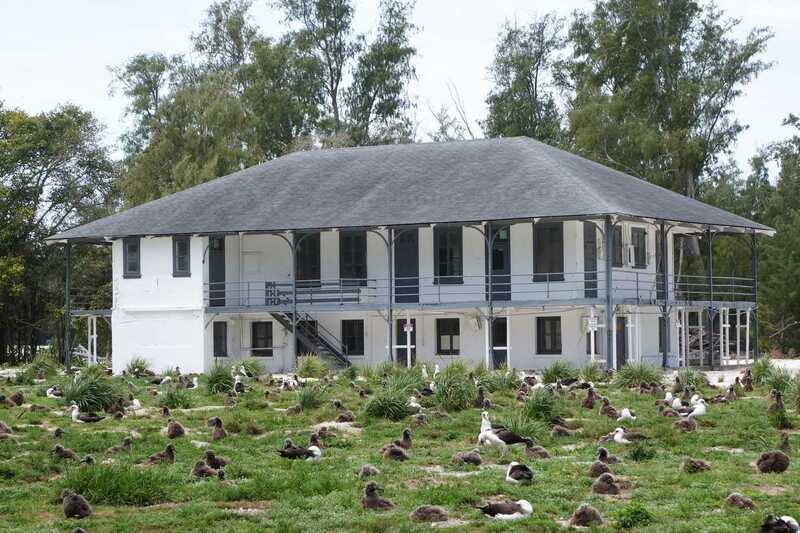 The building was used to house single enlisted men. U.S. 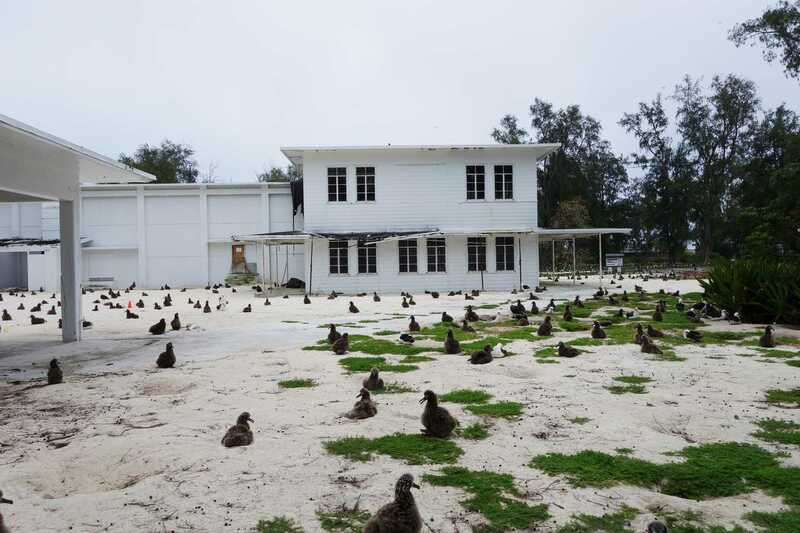 Fish and Wildlife Service officials said that the building is not in use and that the agency plans to demolish the building. 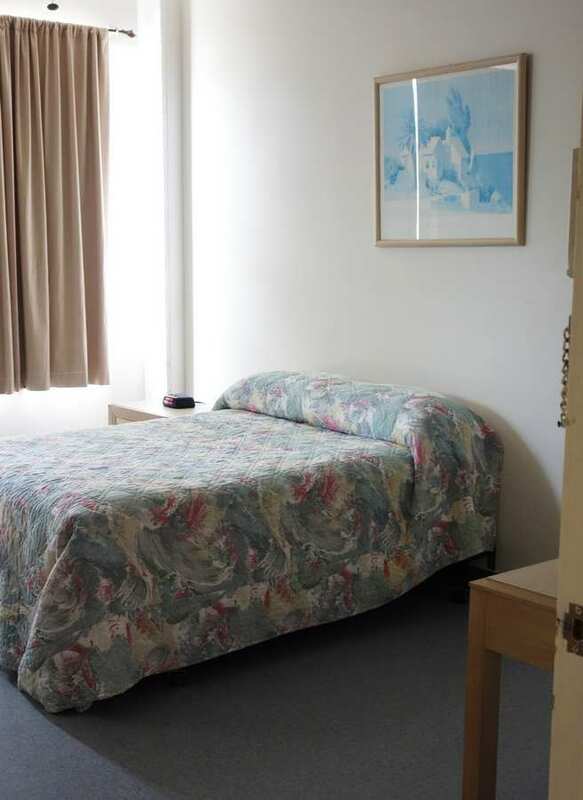 The Bachelor Officer Quarters Charlie Barracks was constructed in 1957 as part of the buildup of Midway’s naval air station during the Cold War. 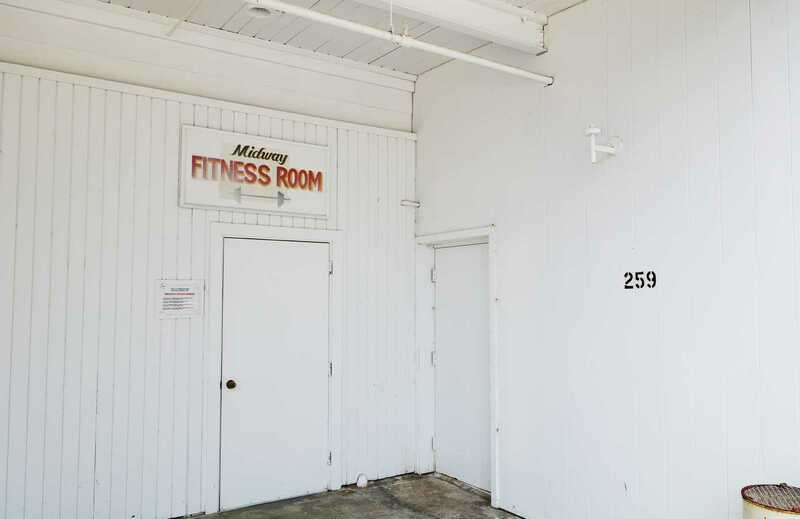 The building was refurbished by the Midway Phoenix Corporation for visitor and employee housing. U.S. 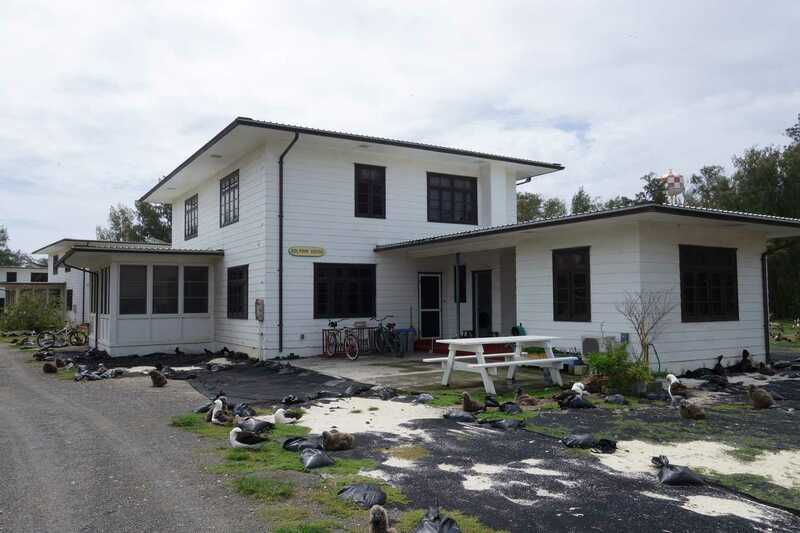 Fish and Wildlife Service officials said that the building is used for staff housing. The U.S. 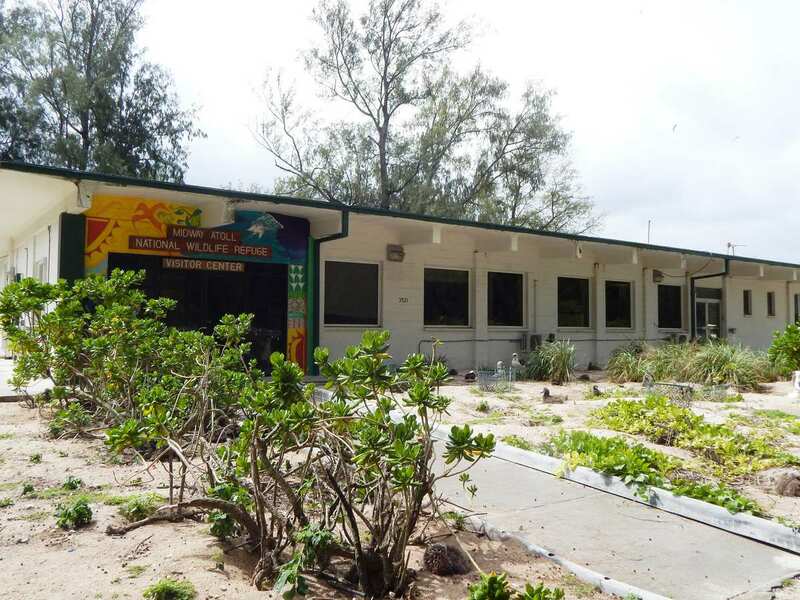 Fish and Wildlife Service Offices and Visitor Center building was constructed from 1976 through 1977 as a hobby shop for Midway Atoll (Midway) residents. 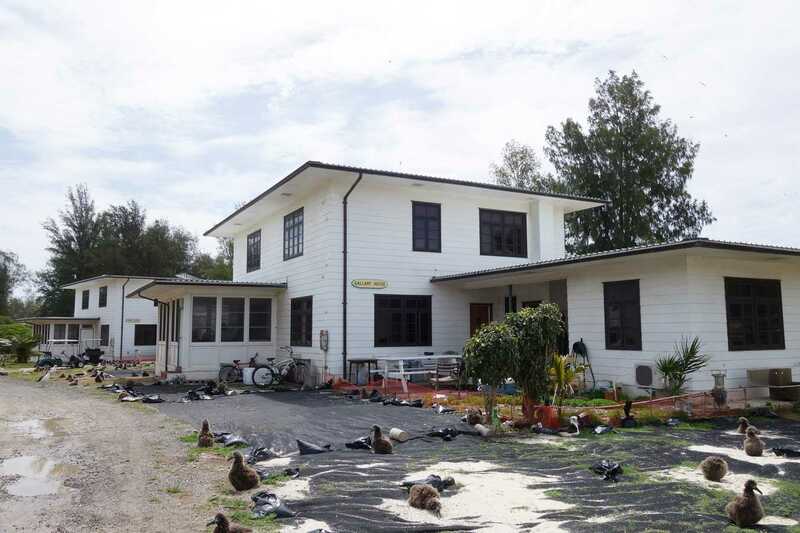 The building is used by the wildlife refuge employees who manage Midway. 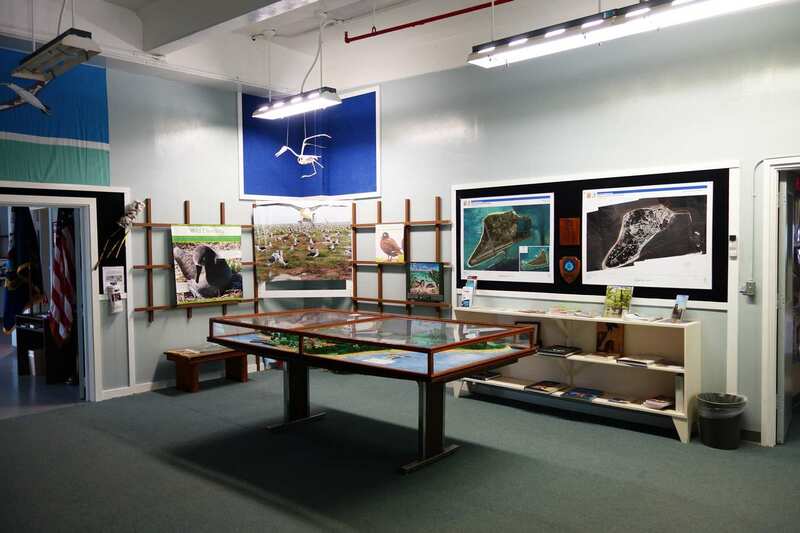 The Visitor Center includes interpretative exhibits relating to Midway’s history and wildlife. 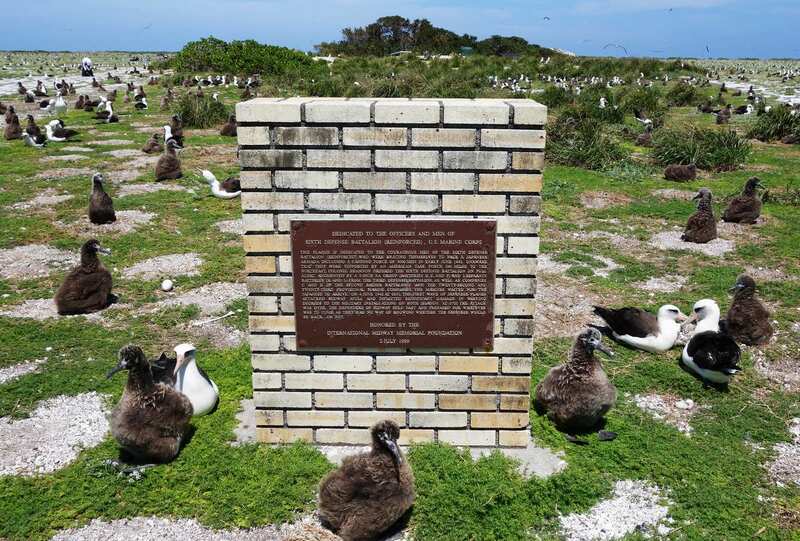 This memorial was constructed in August 1995 by the International Midway Memorial Foundation to preserve the memory of the Battle of Midway on June 4, 1942. 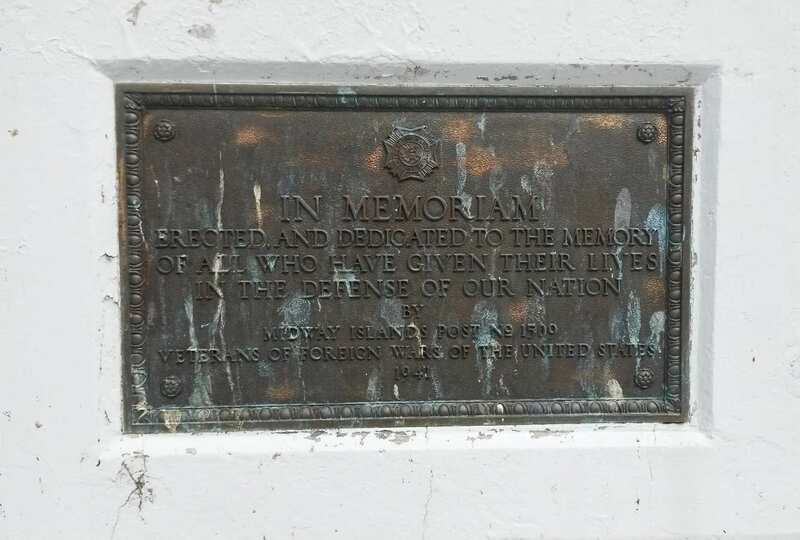 This memorial was constructed in August 1995 by the International Midway Memorial Foundation to honor Major Lofton R. Henderson, whose heroic actions contributed to the United States’ victory in the Battle of Midway on June 4, 1942. In July 1999, the memorial expanded to include plaques honoring the soldiers who fought during the battle. 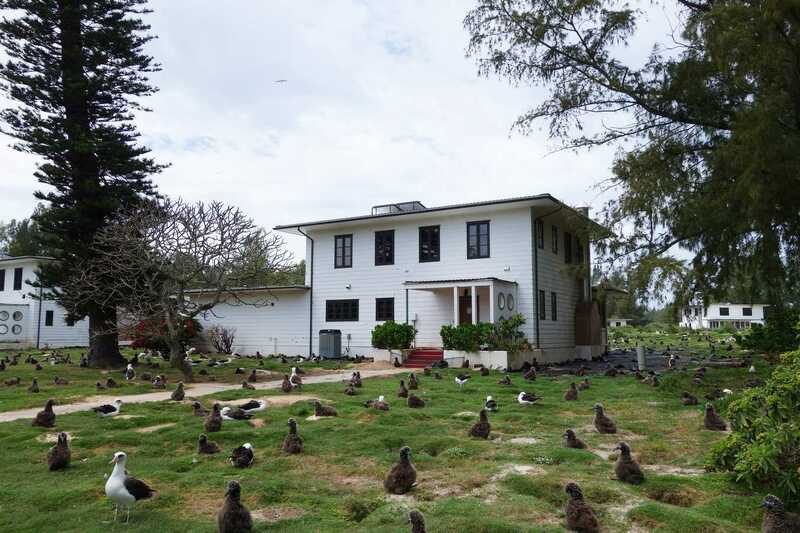 The Clipper House was constructed as a restaurant in 1997 by the Midway Phoenix Corporation as part of a public visitation program for Midway Atoll. The building is still in use by the U.S. Fish and Wildlife Service for food service and is sometimes used as a staging area for aircraft passengers. 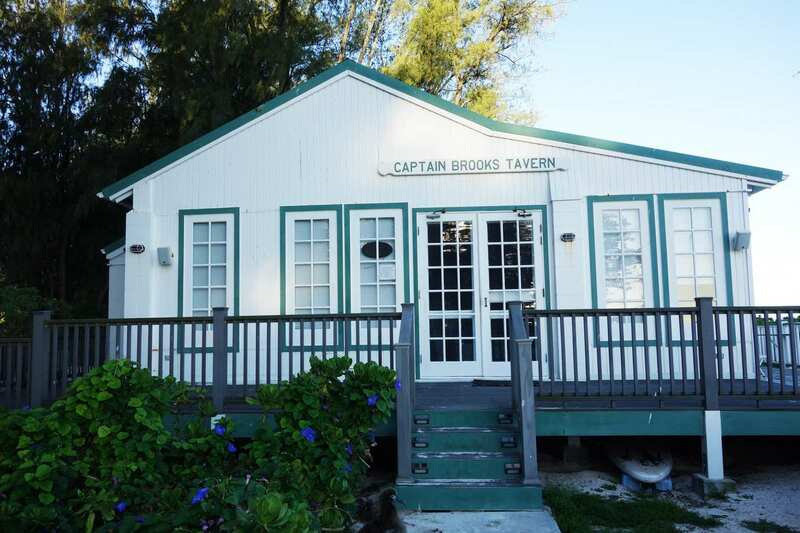 The Captain Brooks Tavern was constructed in 1997 by the Midway Phoenix Corporation as a part of a public visitation program for Midway Atoll. The tavern is still in use by the U.S. 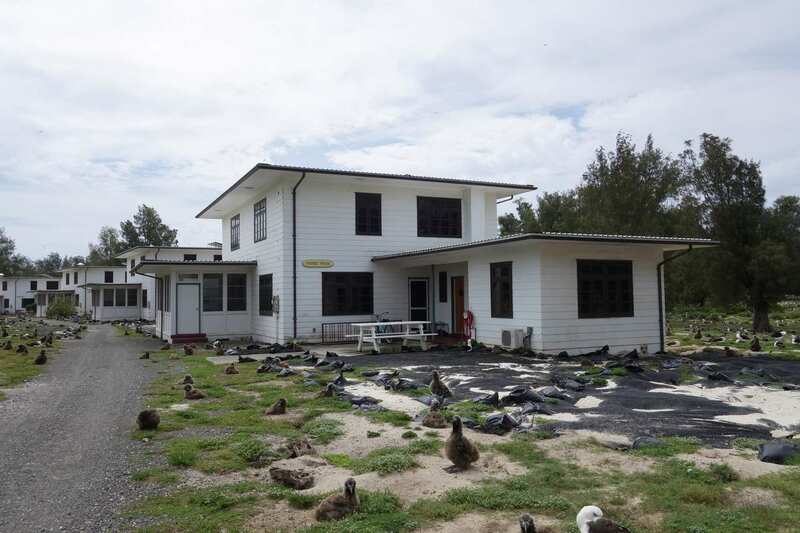 Fish and Wildlife Service as a bar and recreation area and is sometimes used as a staging area for aircraft passengers.